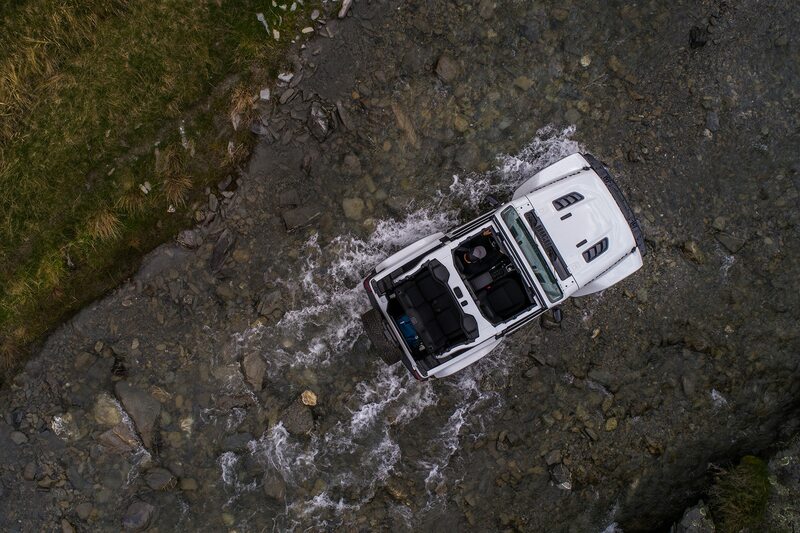 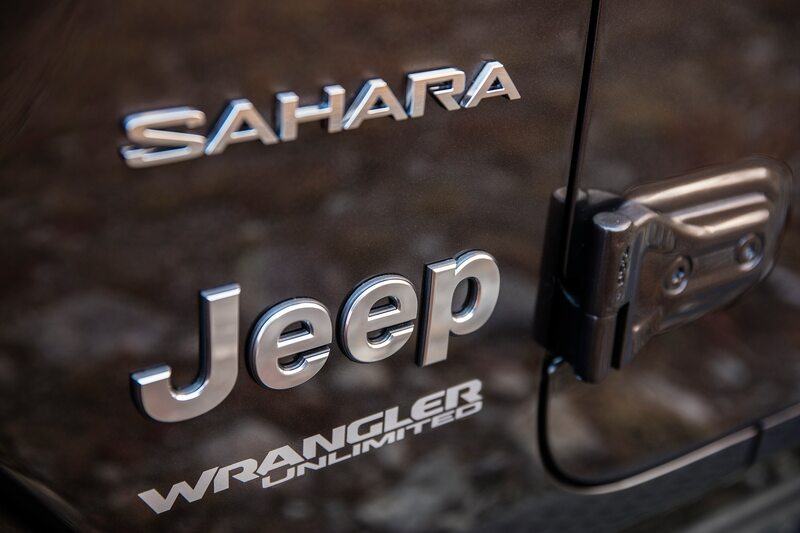 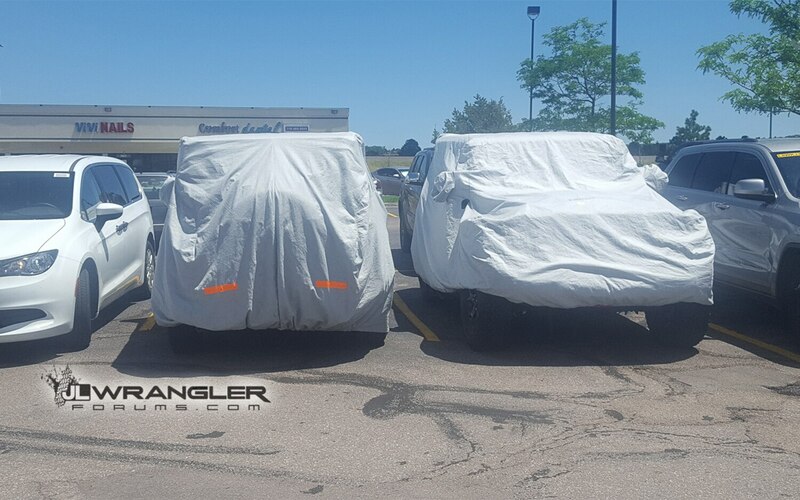 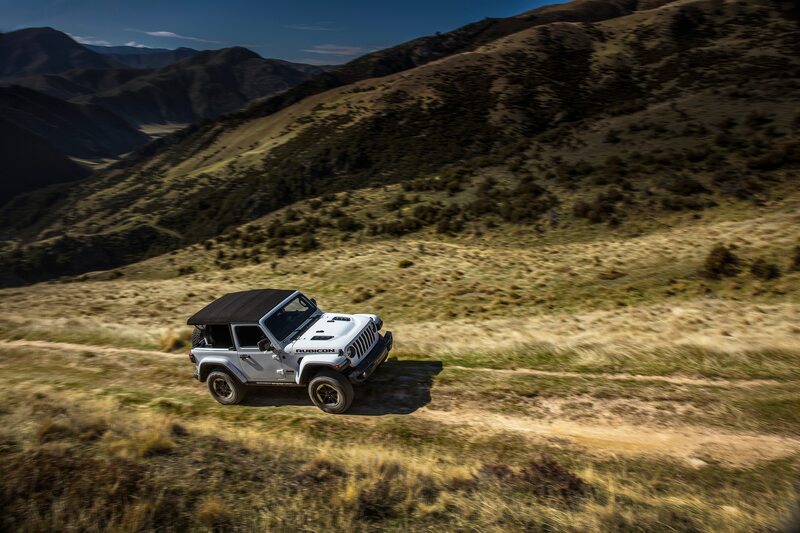 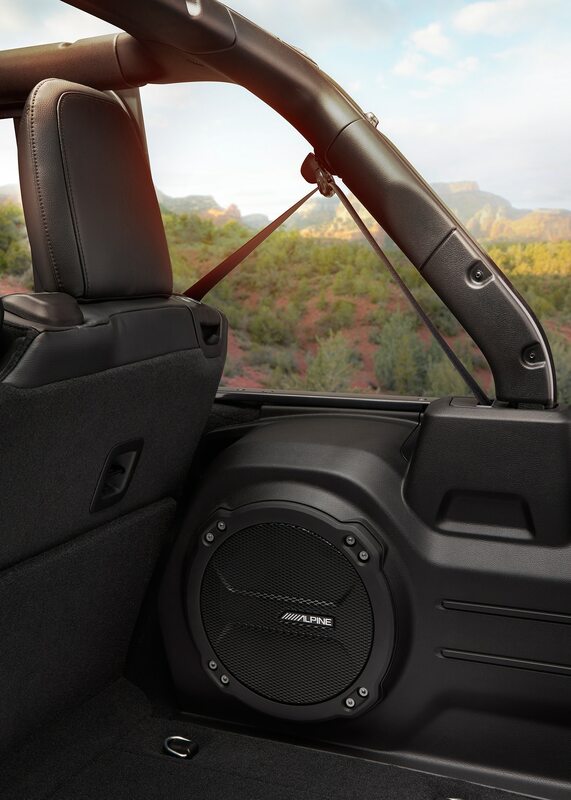 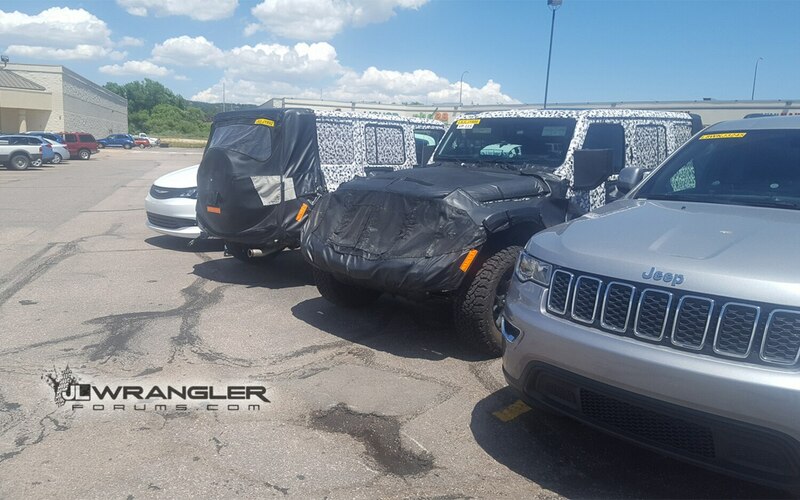 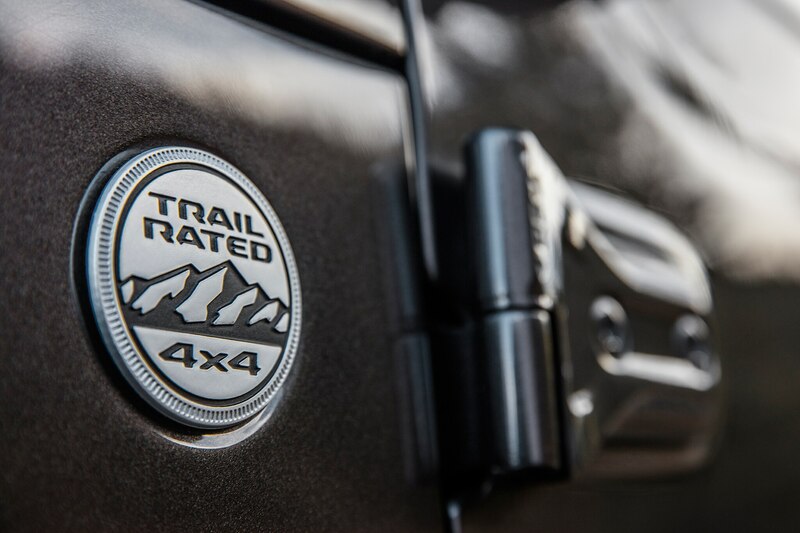 The folks at JL Wrangler Forums have received some new details about the next-gen Jeep Wrangler, including likely confirmation of a diesel variant. 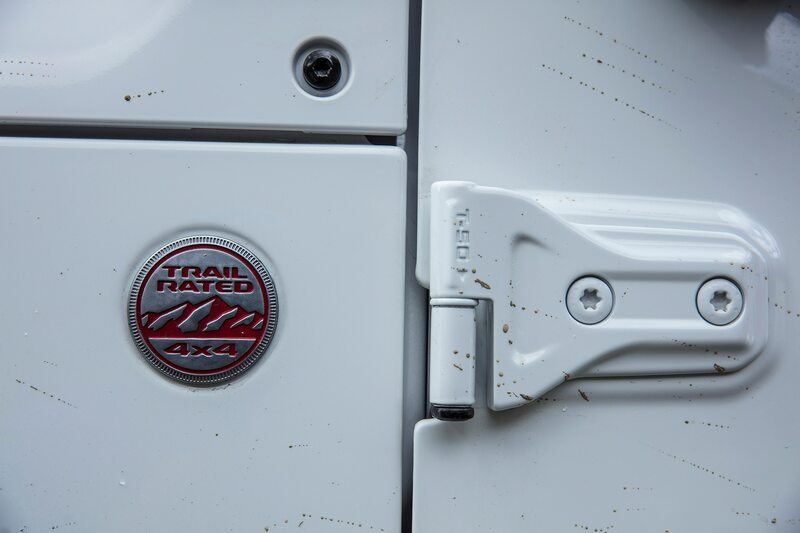 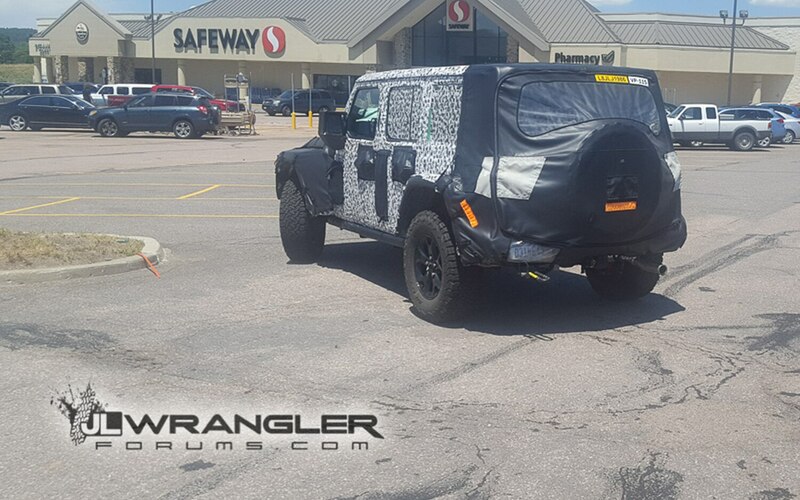 The details reportedly come from an FCA dealer meeting, and the spy shots, which appear to show a diesel-powered test mule’s Diesel Exhaust Fluid (DEF) tank, come from a forum user. 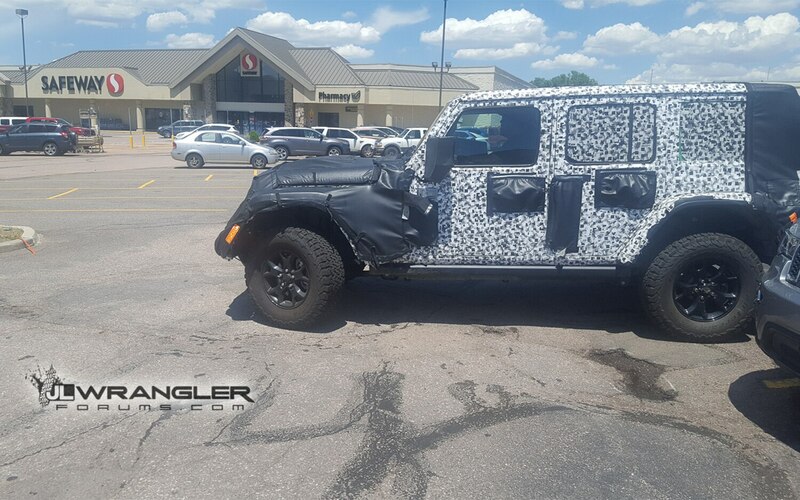 An anonymous source leaked details from the meeting to the forum. 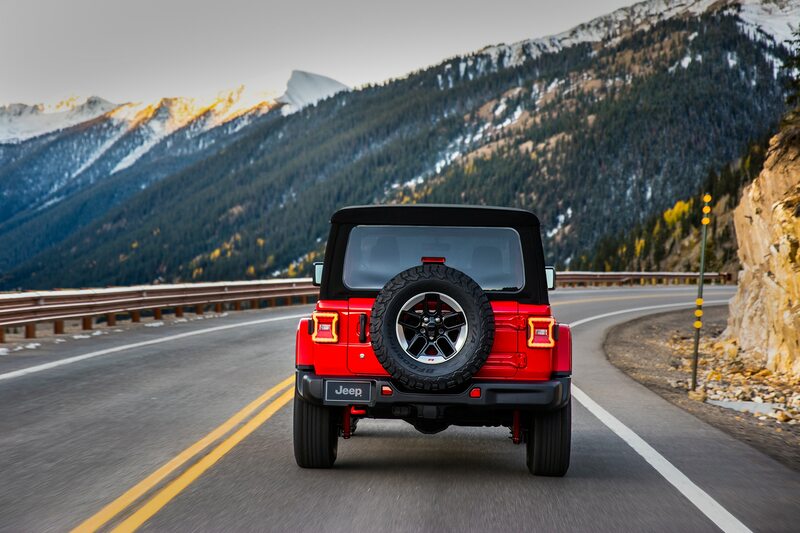 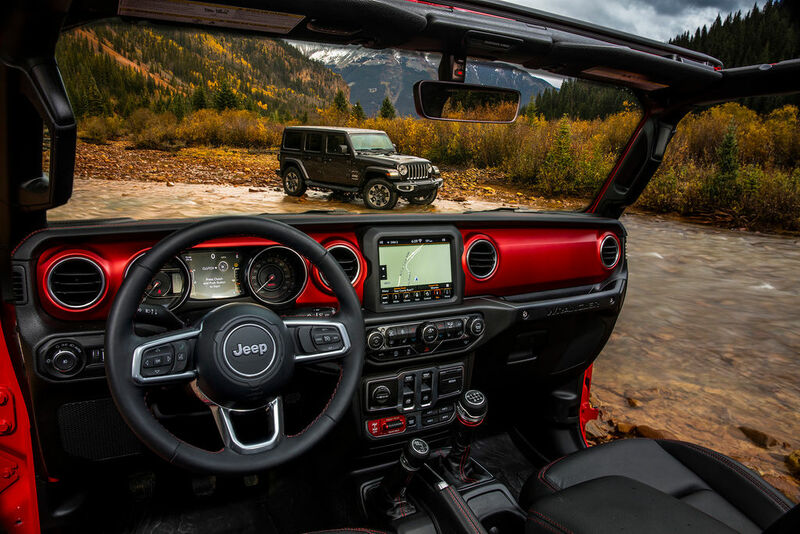 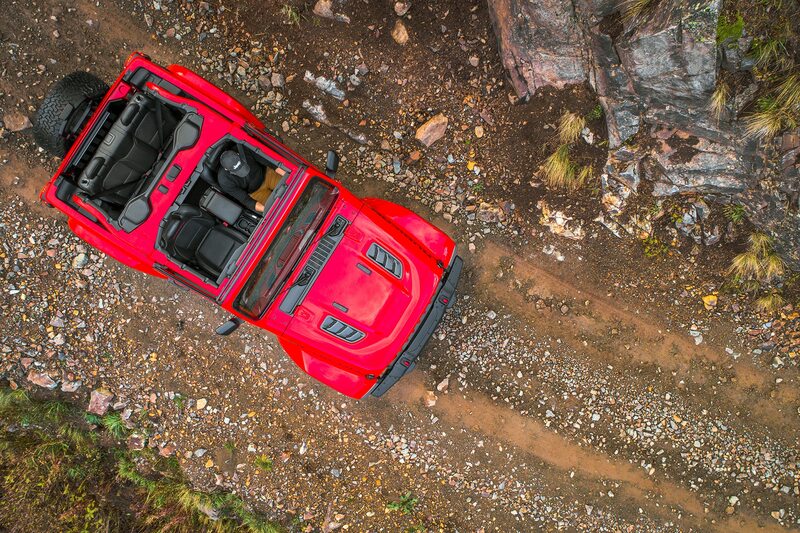 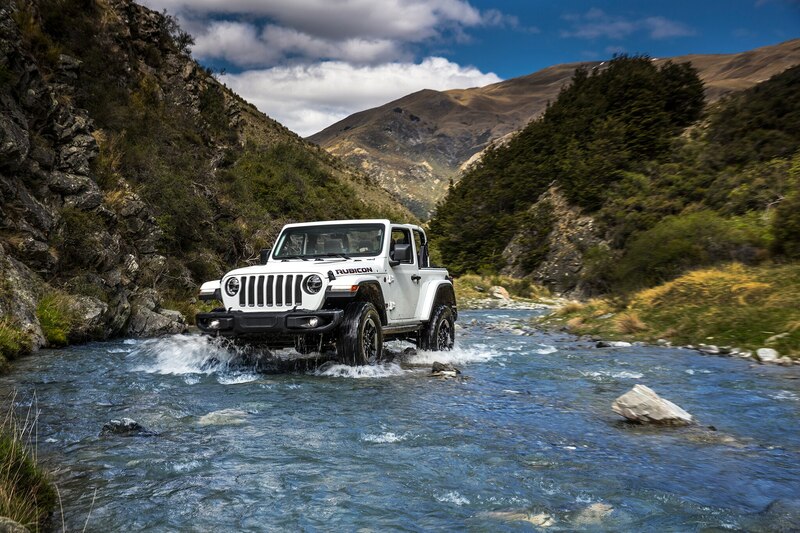 According to this source, Jeep CEO Mike Manley said the next Wrangler will debut at the 2017 L.A. auto show press days in late November, with production models arriving at dealerships as early as mid-December. 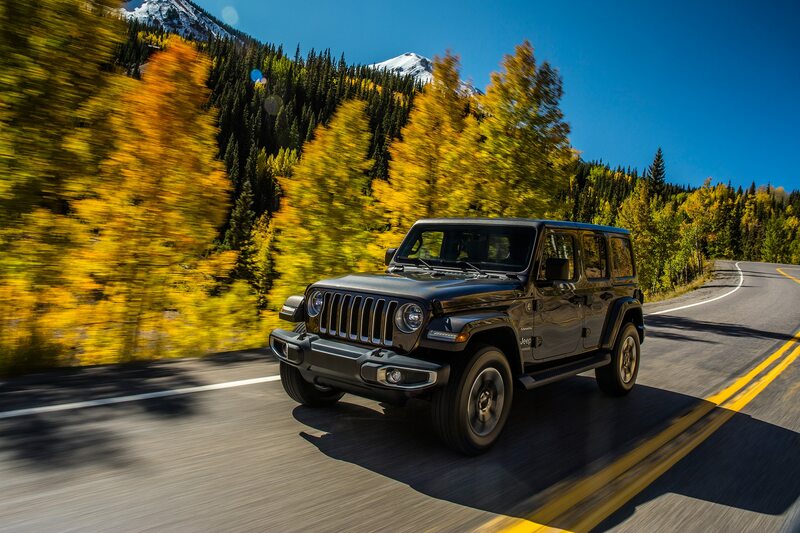 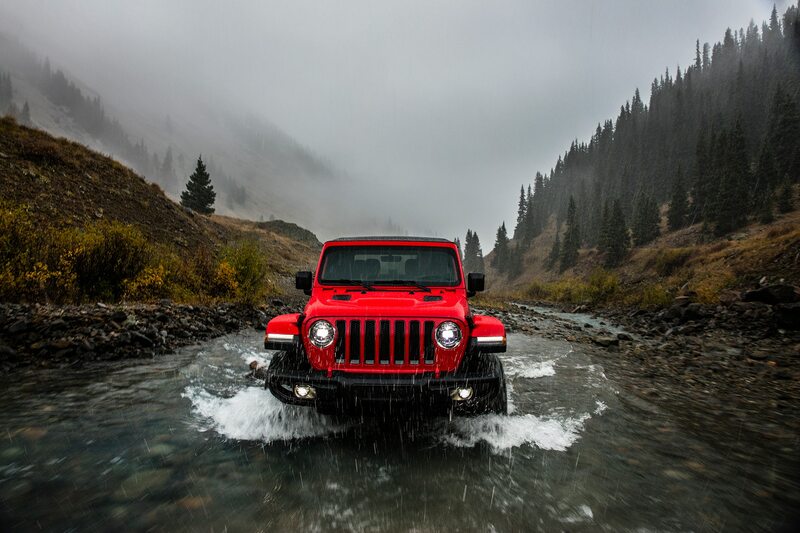 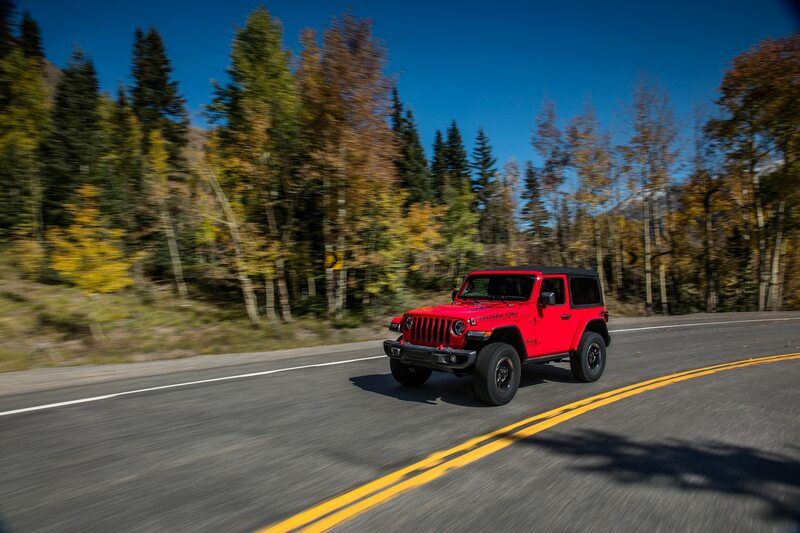 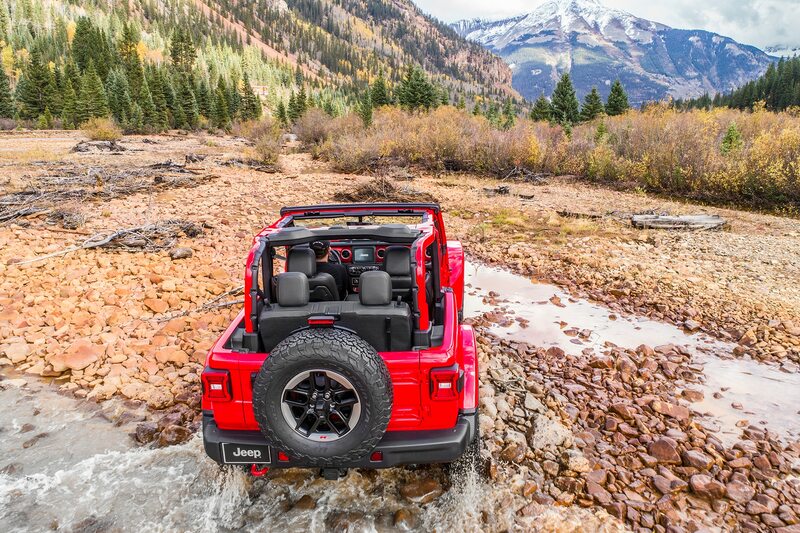 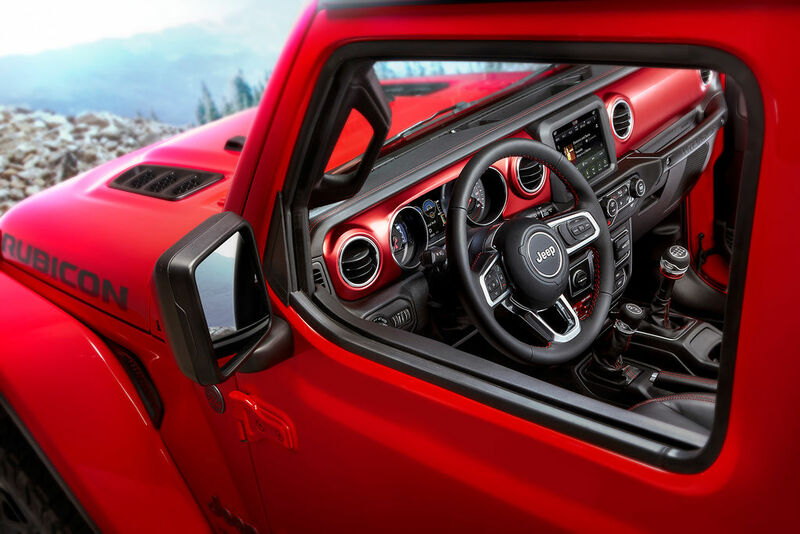 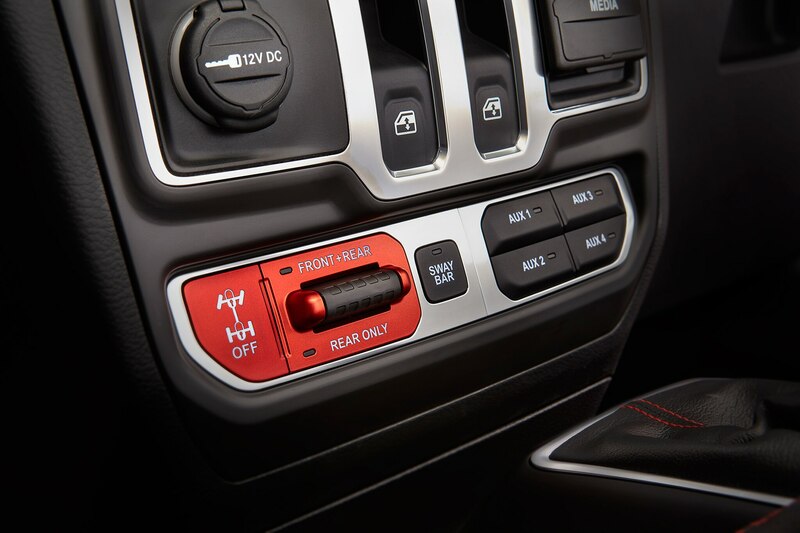 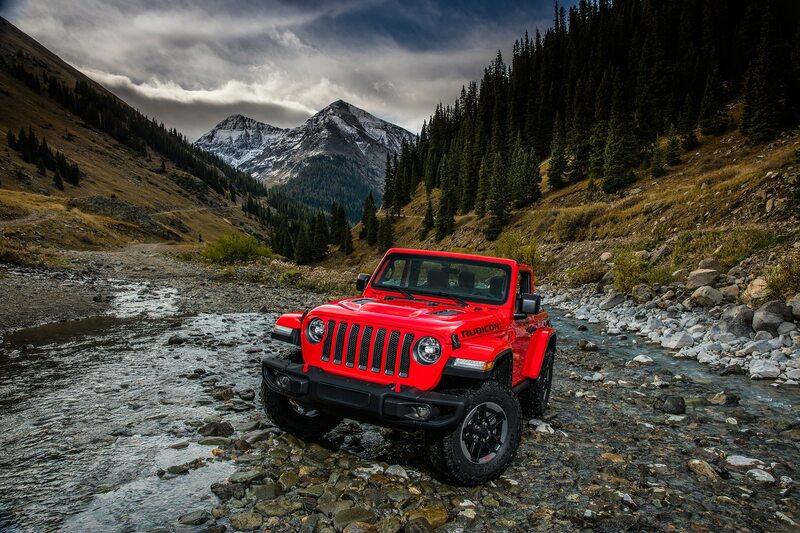 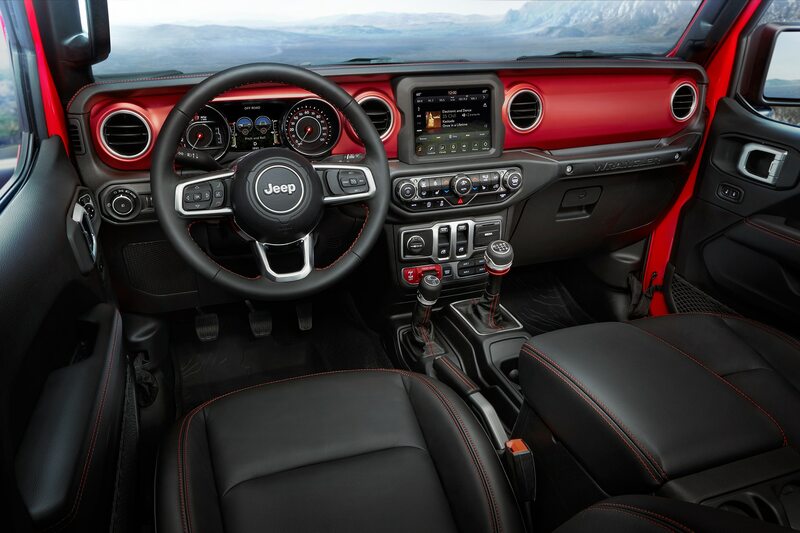 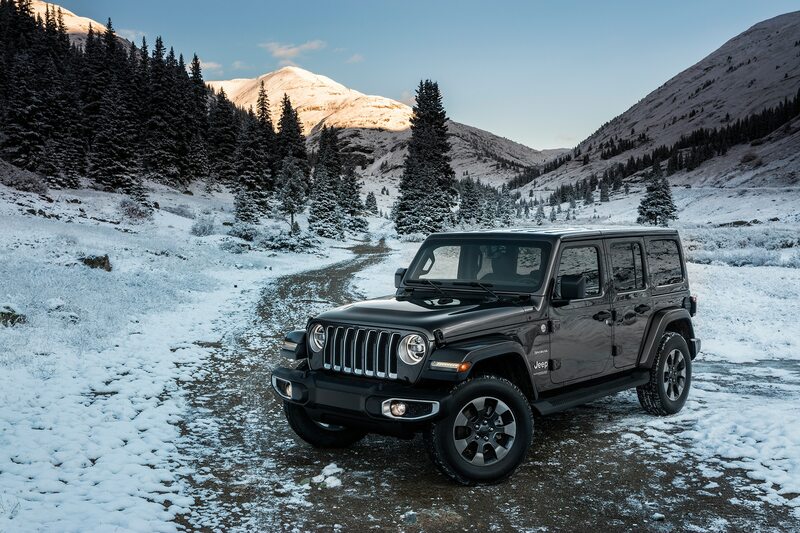 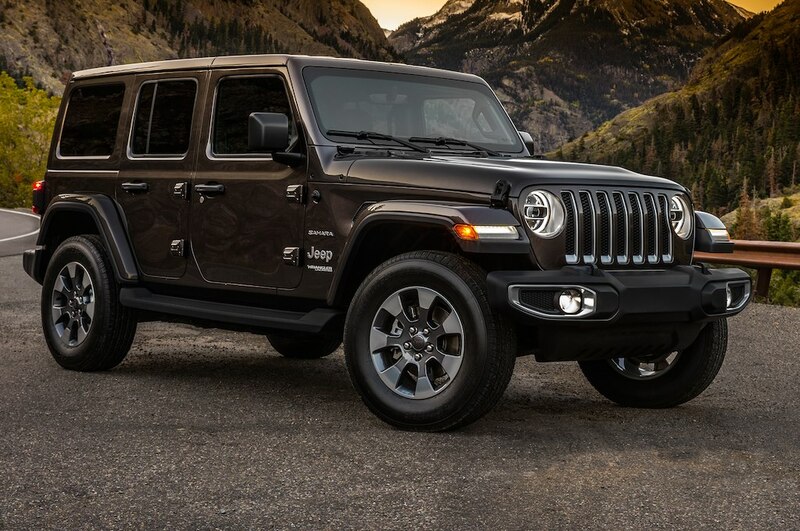 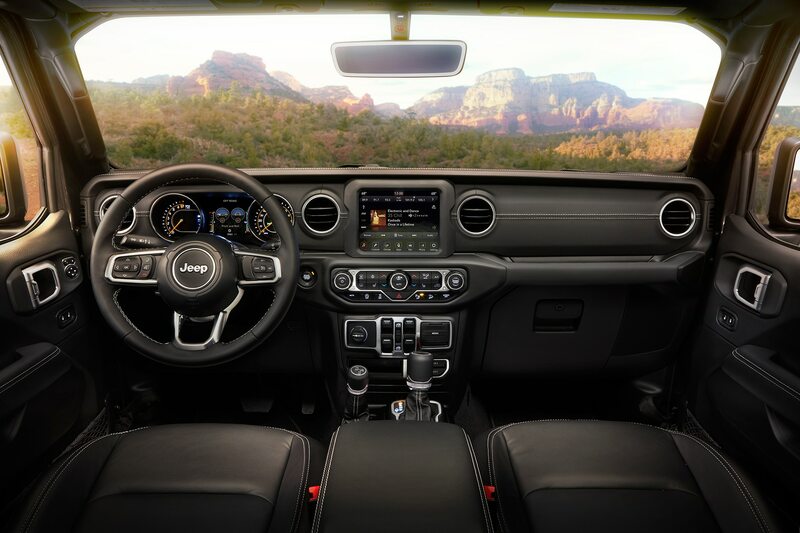 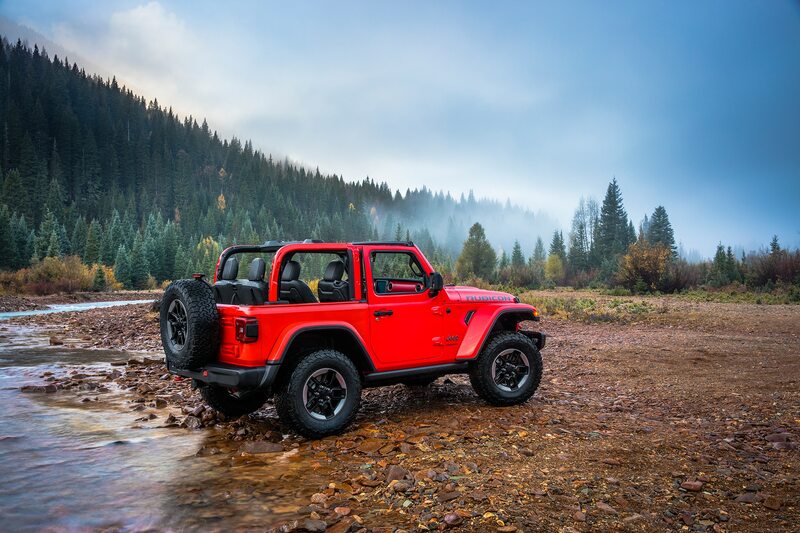 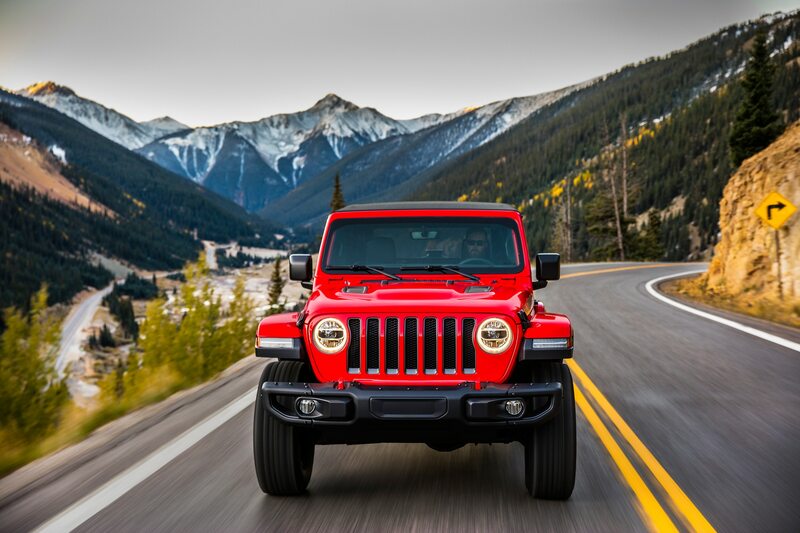 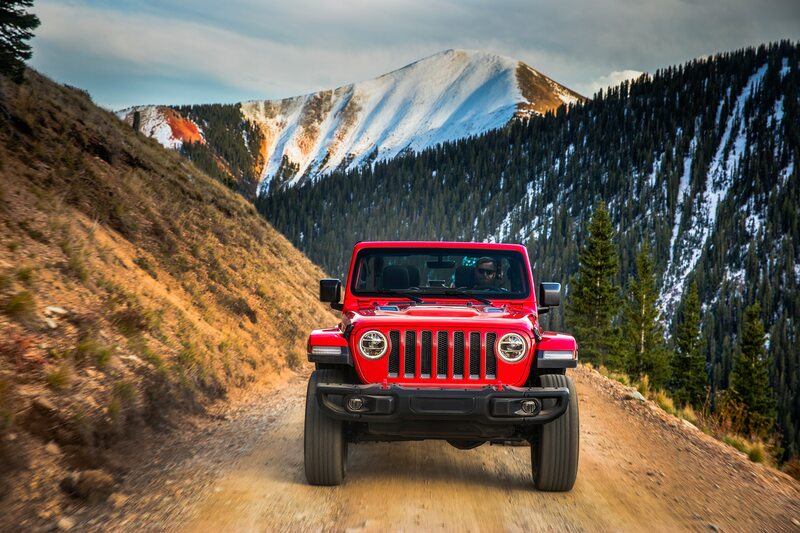 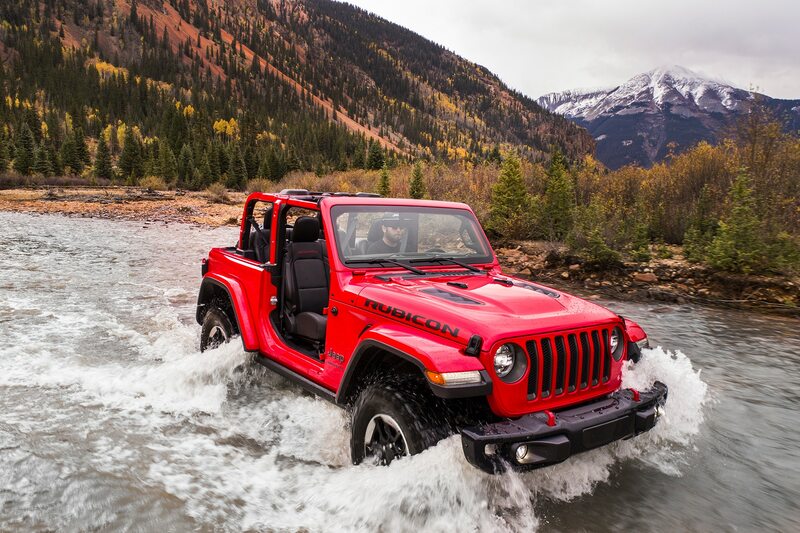 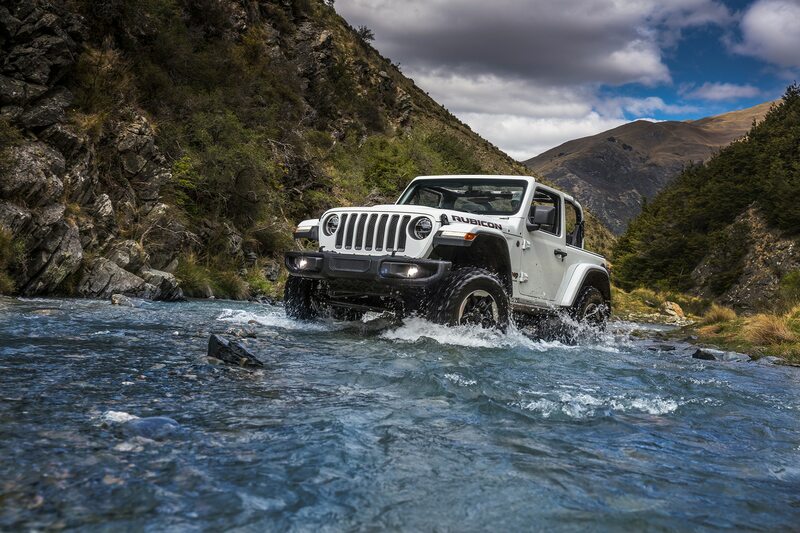 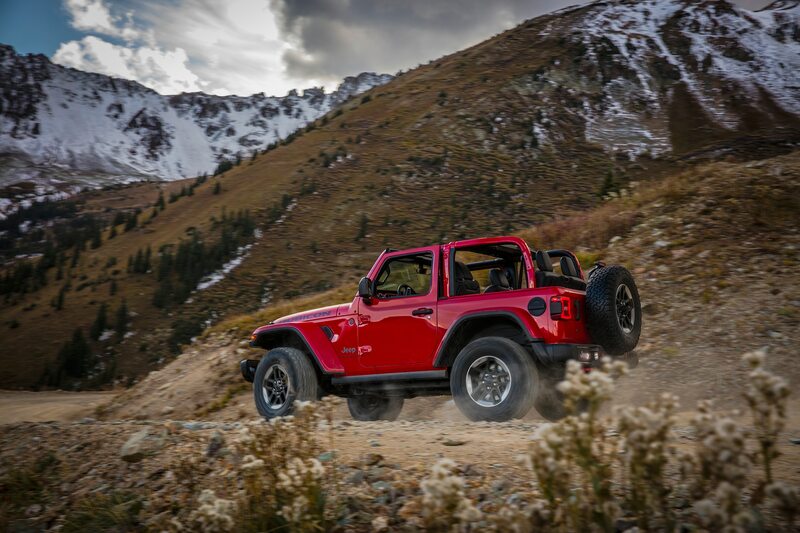 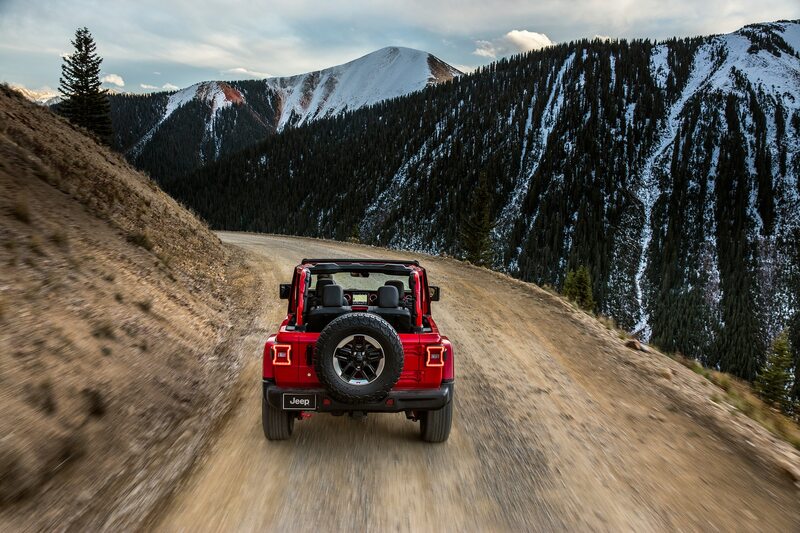 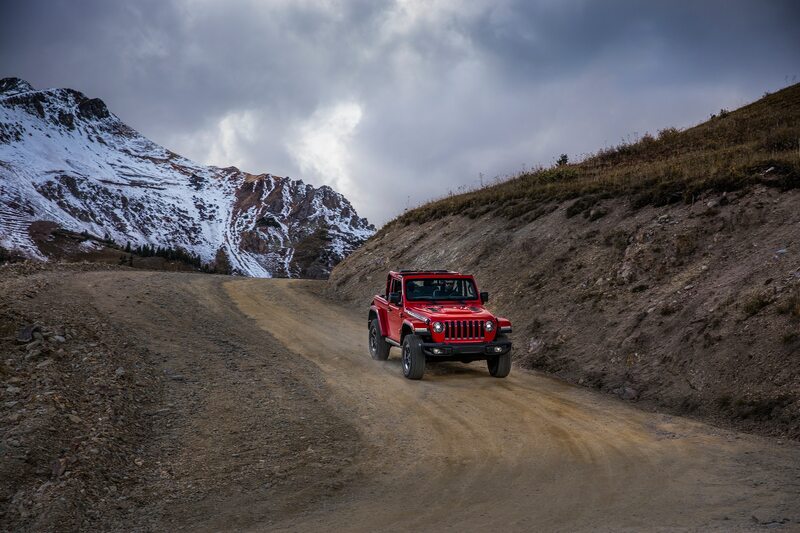 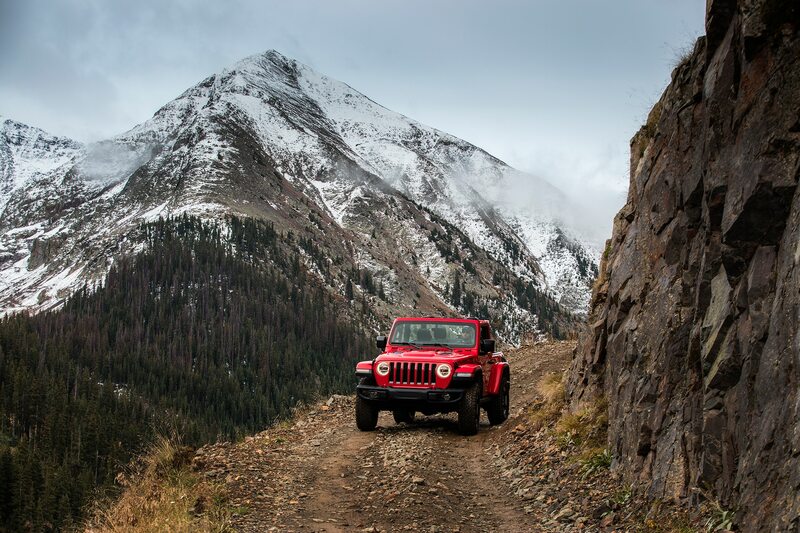 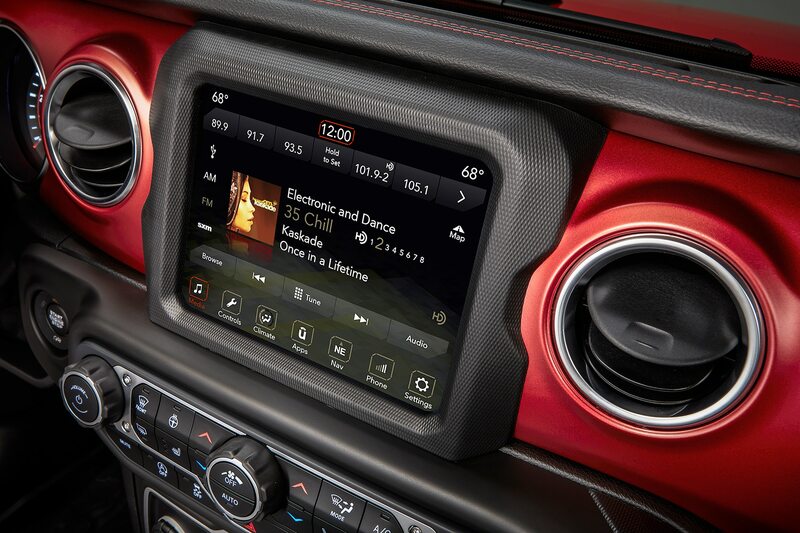 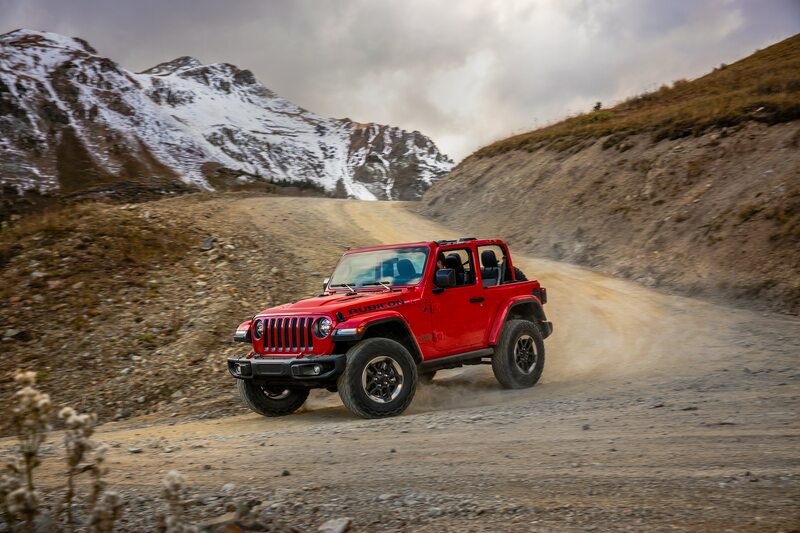 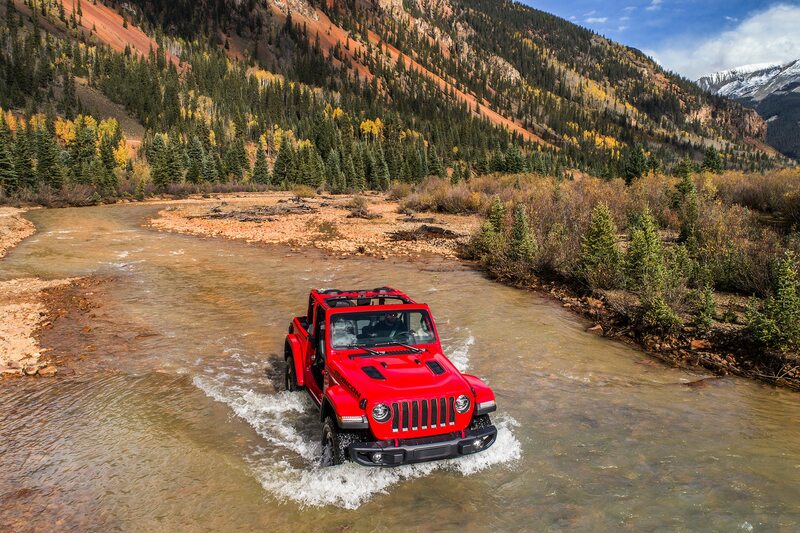 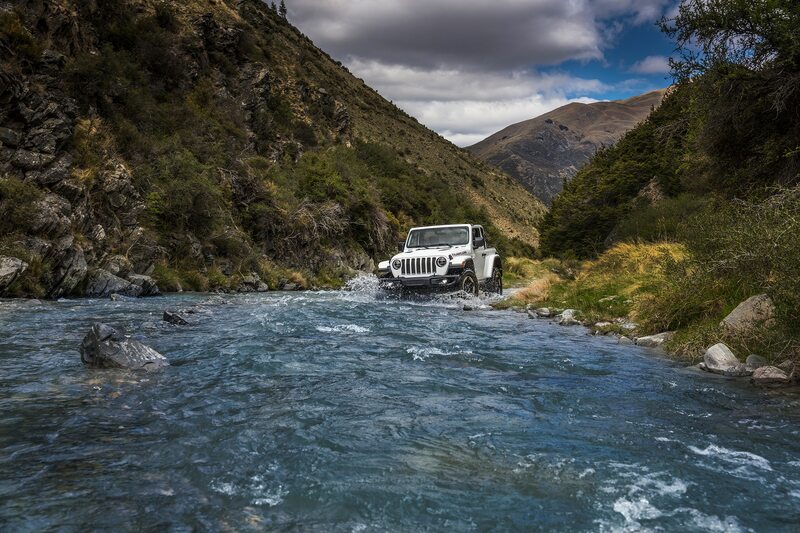 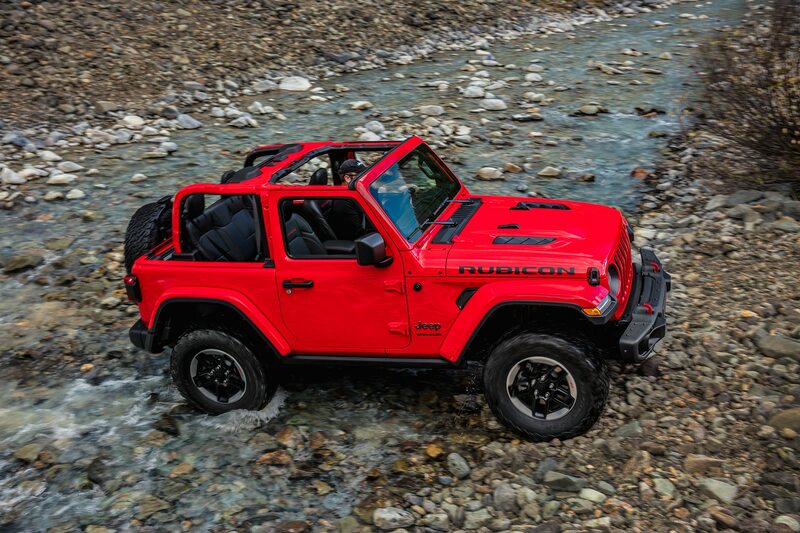 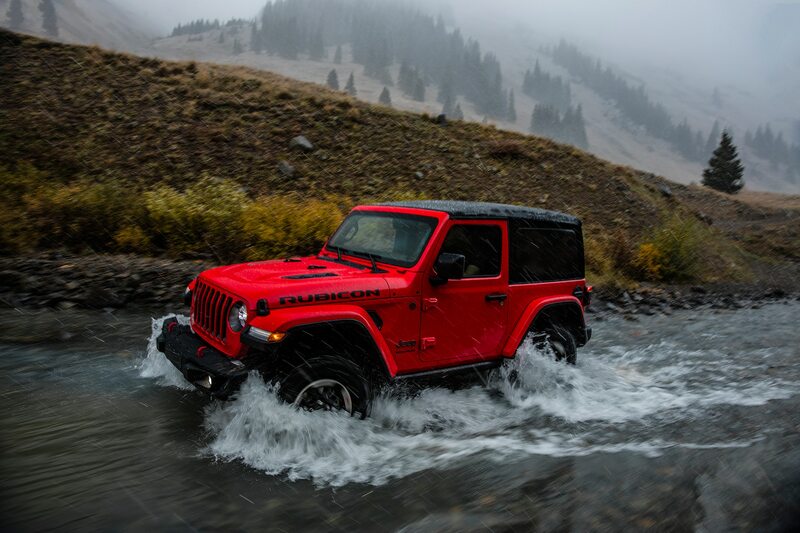 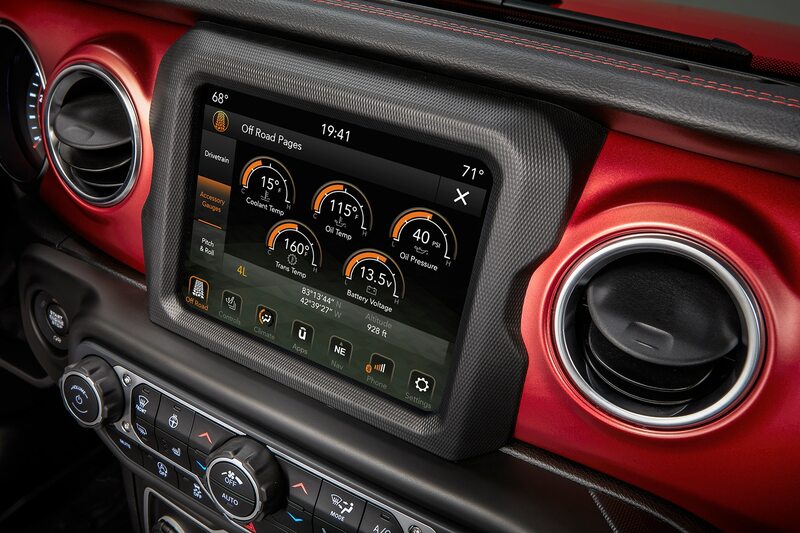 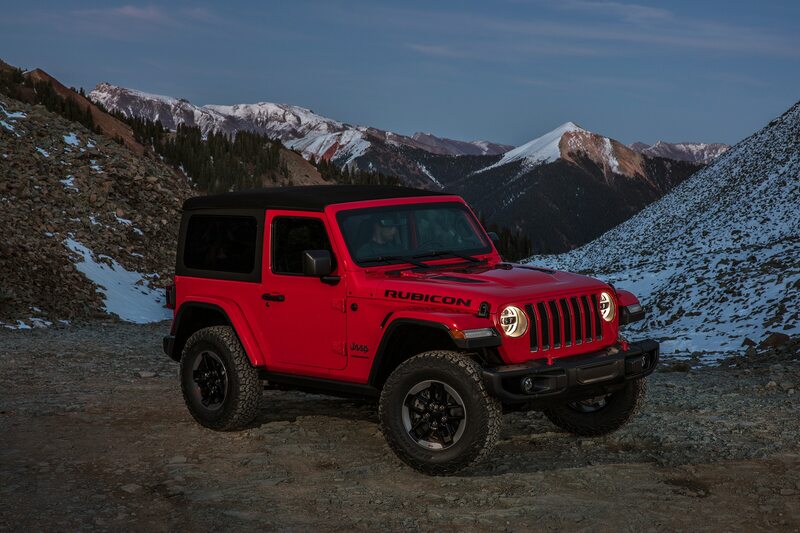 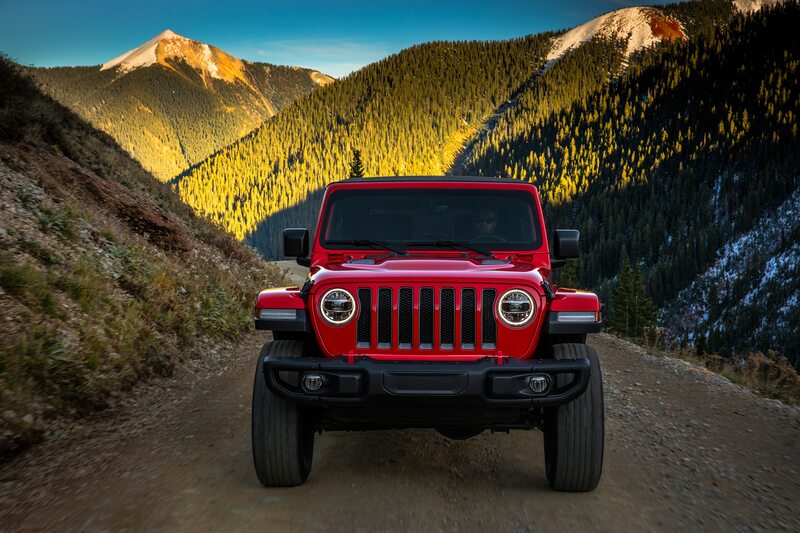 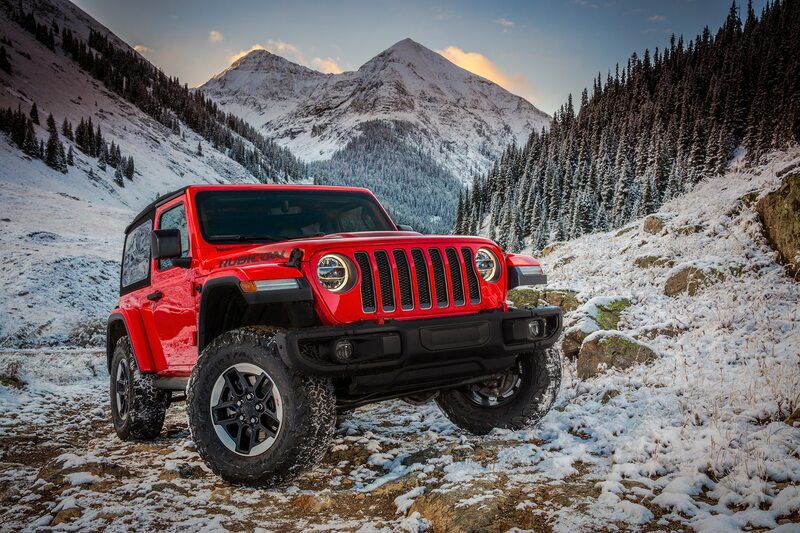 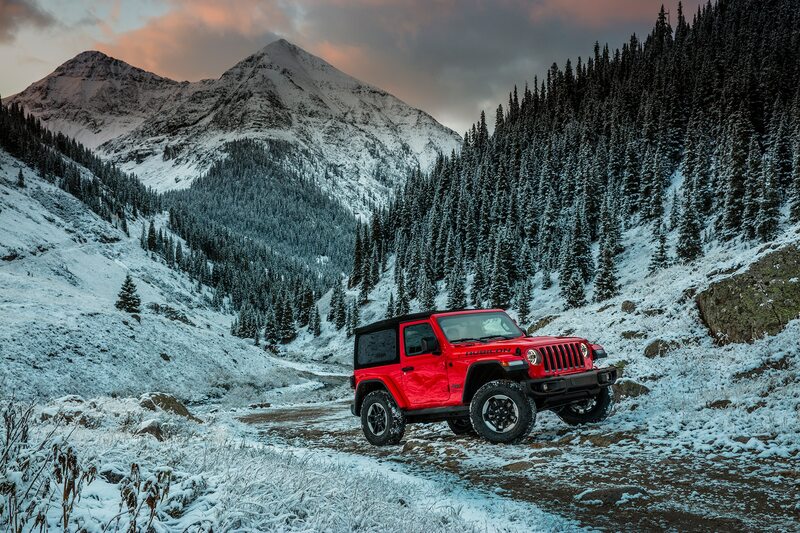 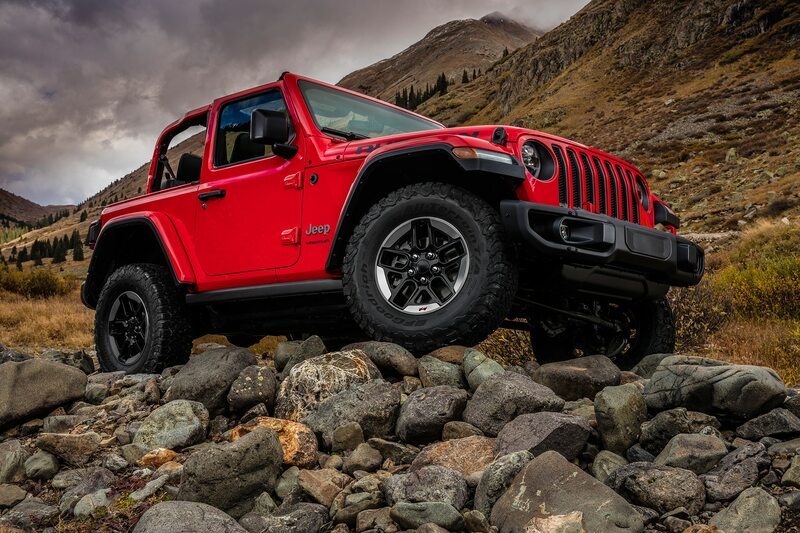 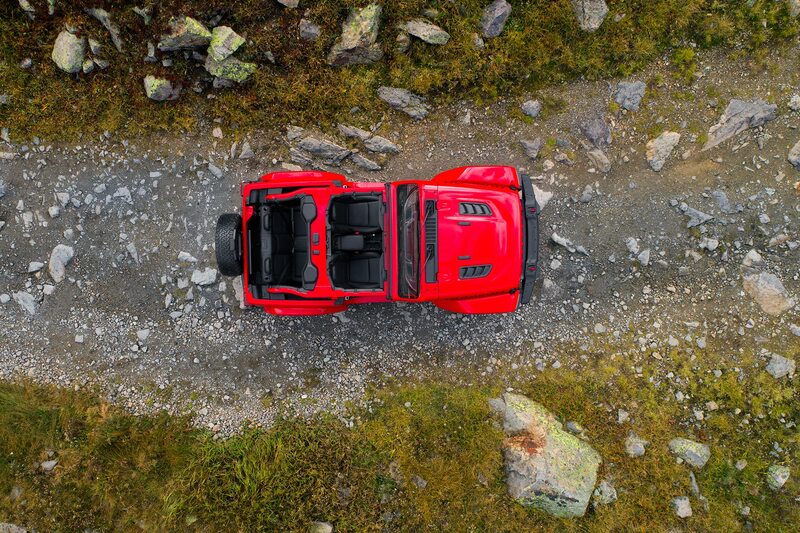 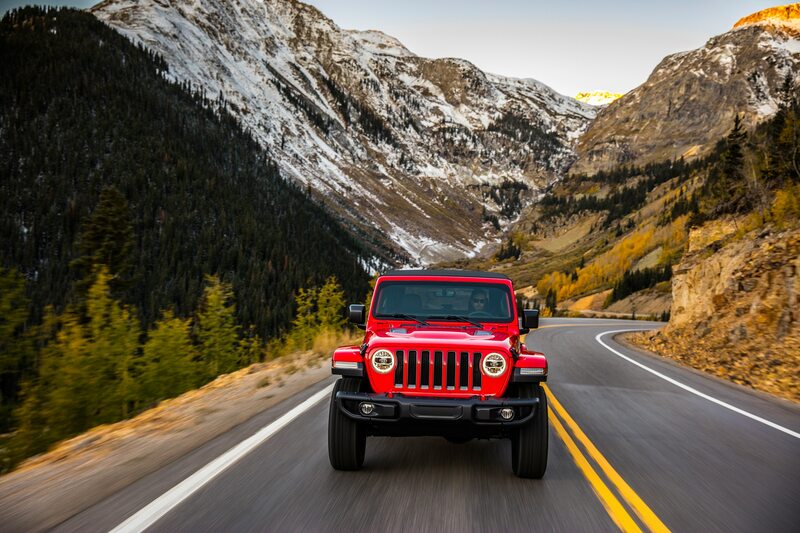 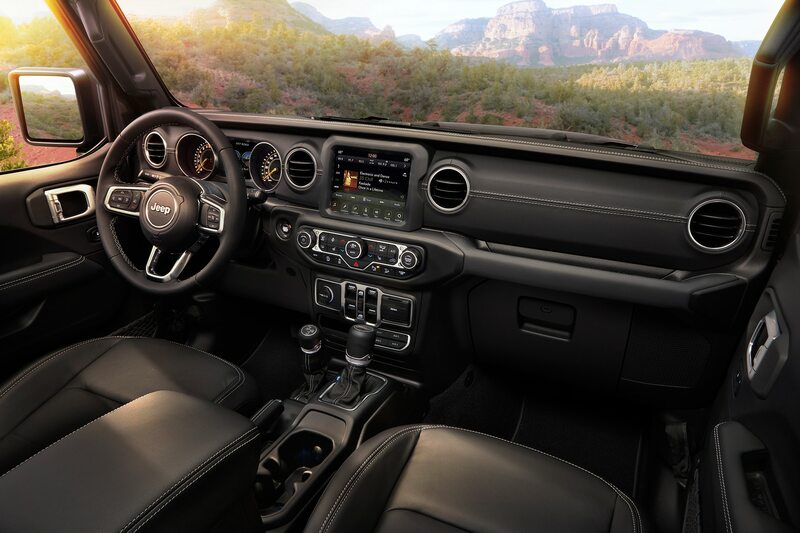 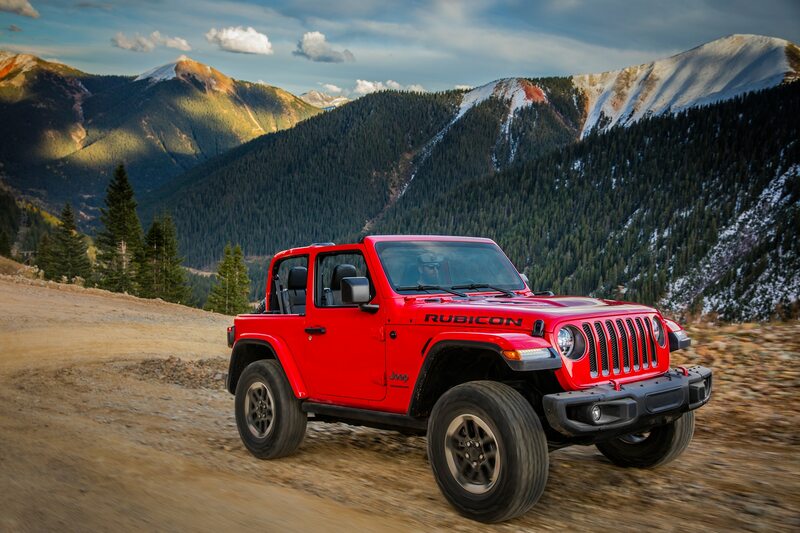 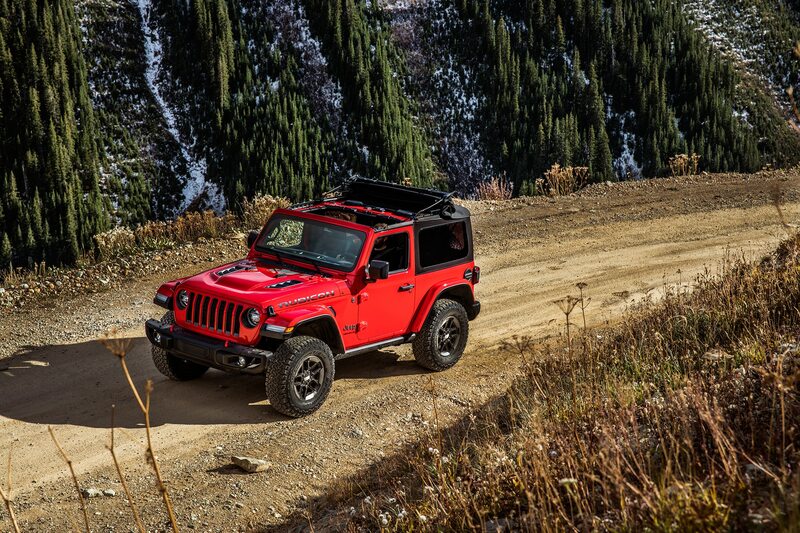 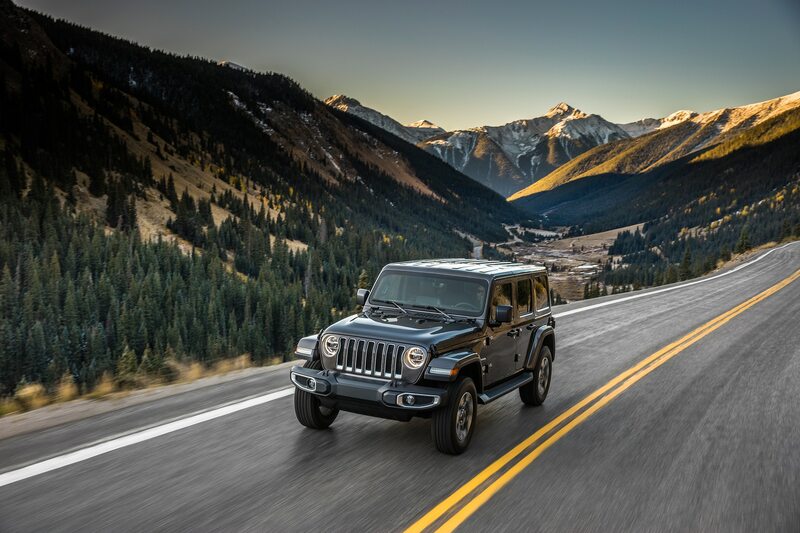 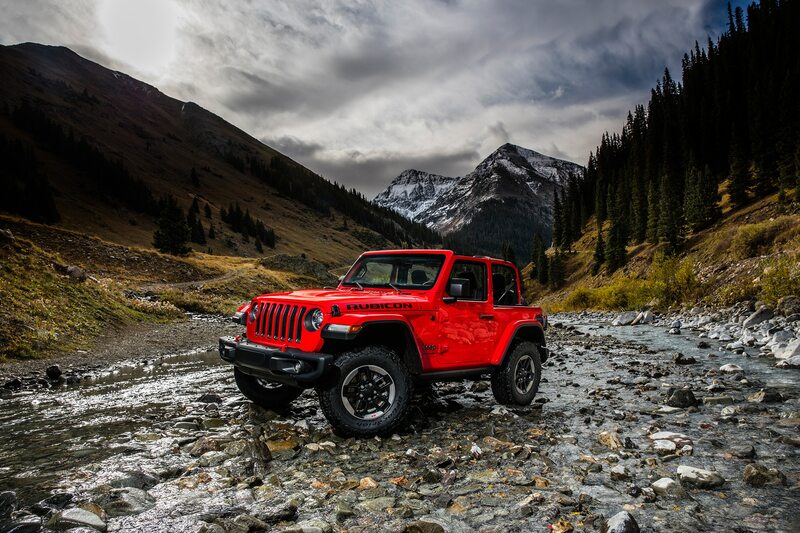 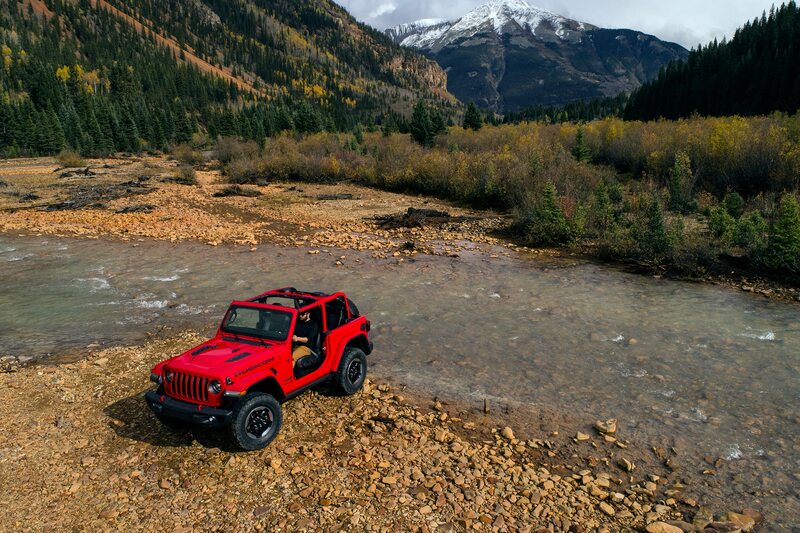 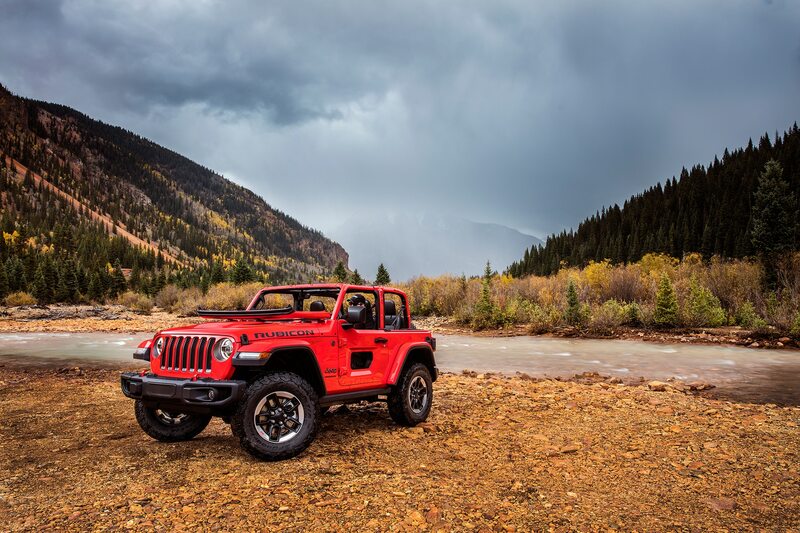 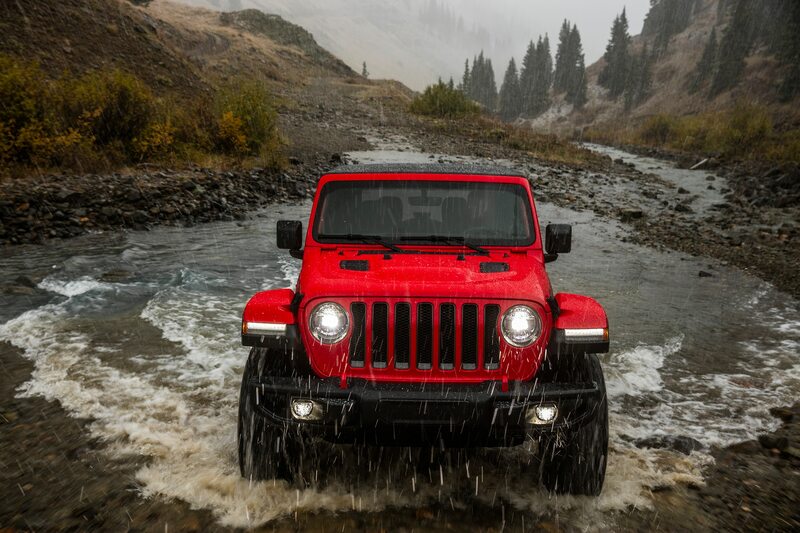 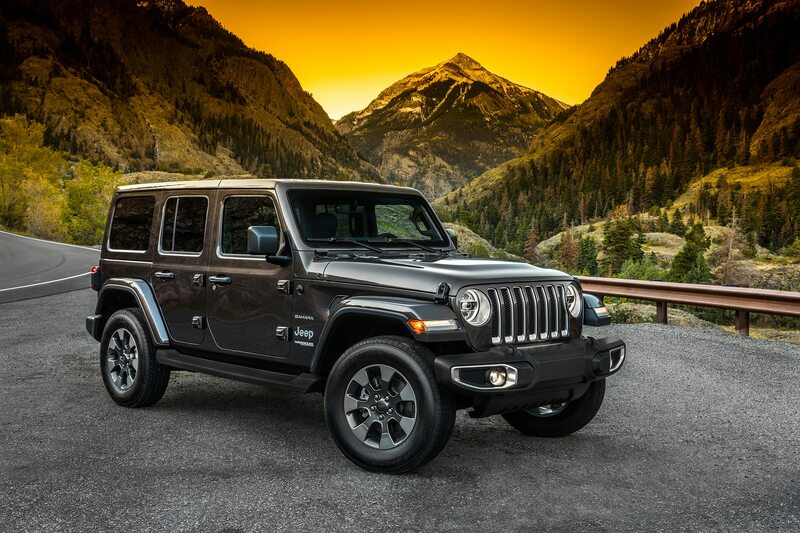 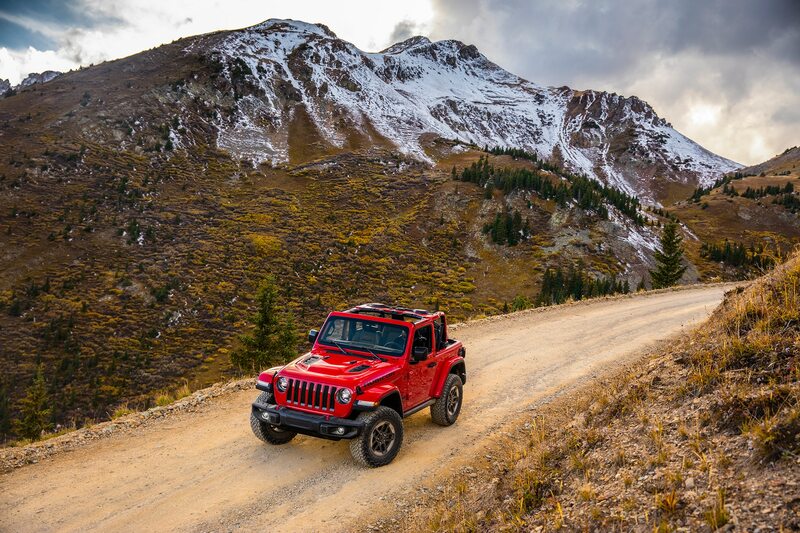 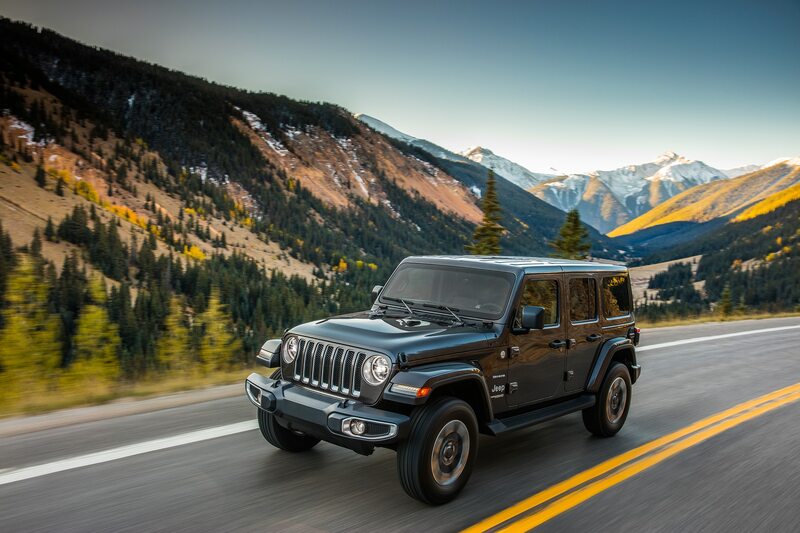 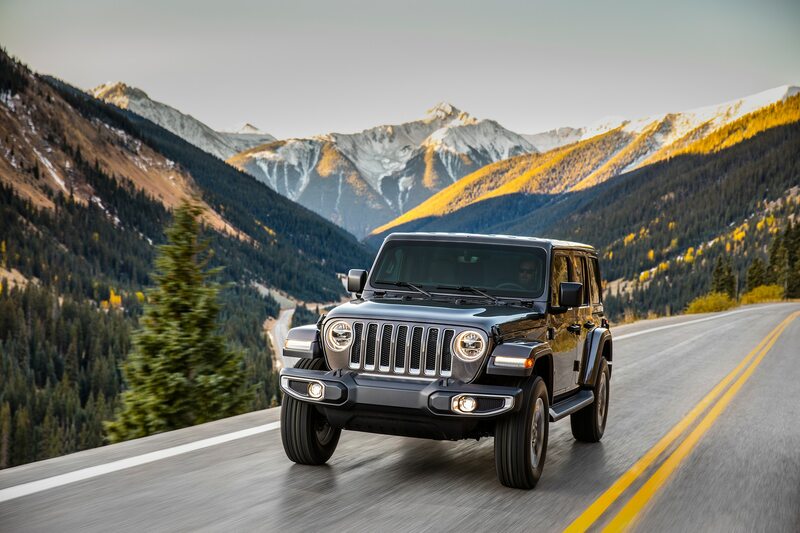 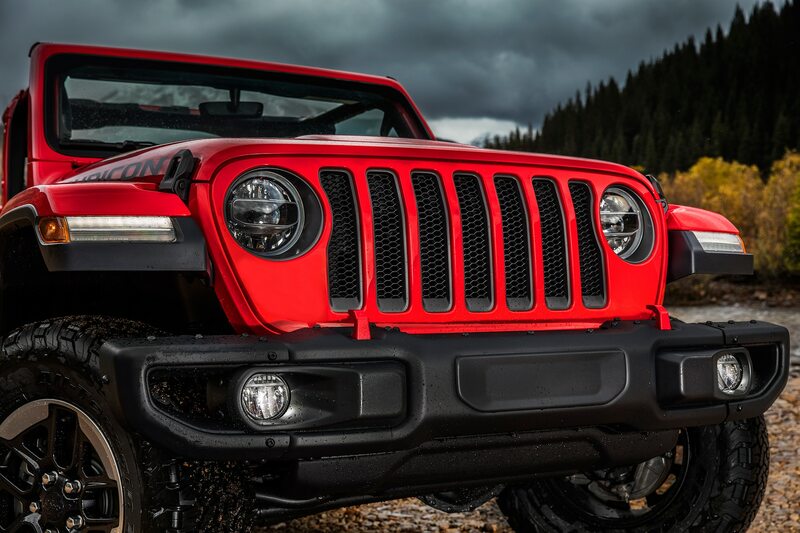 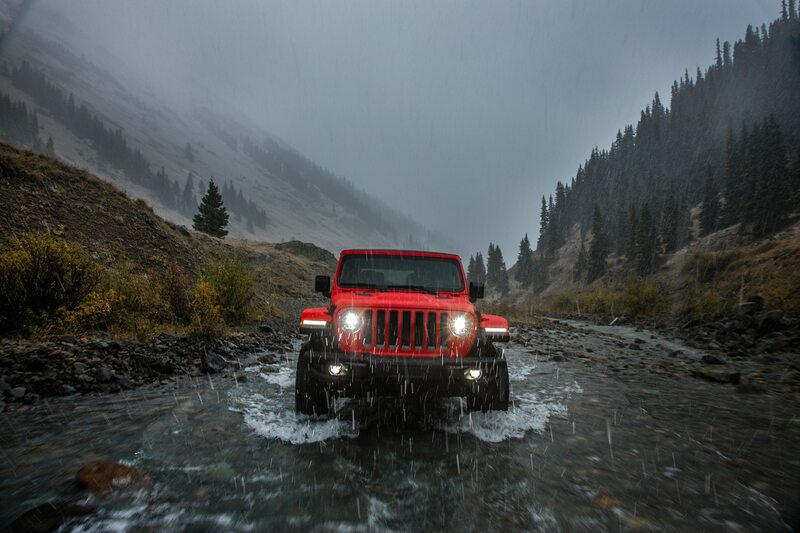 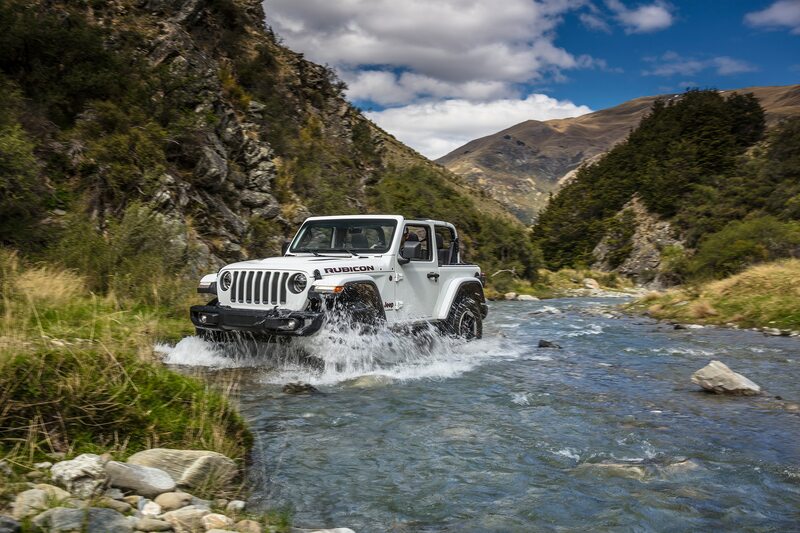 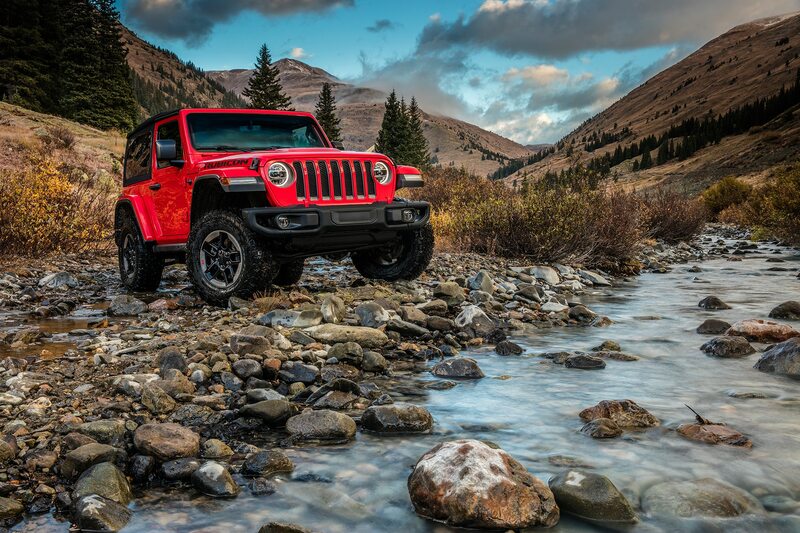 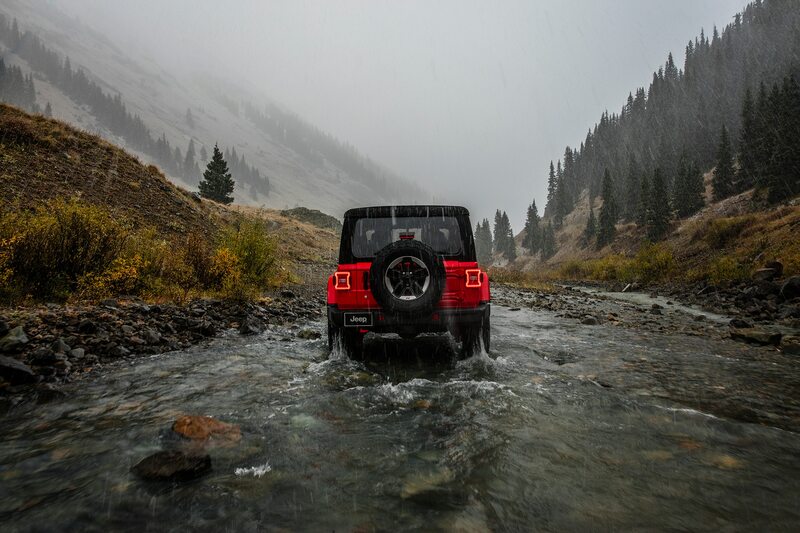 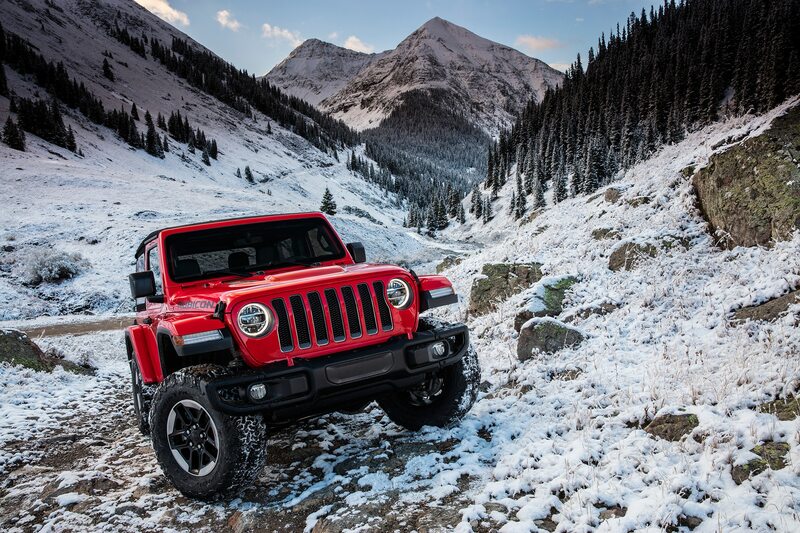 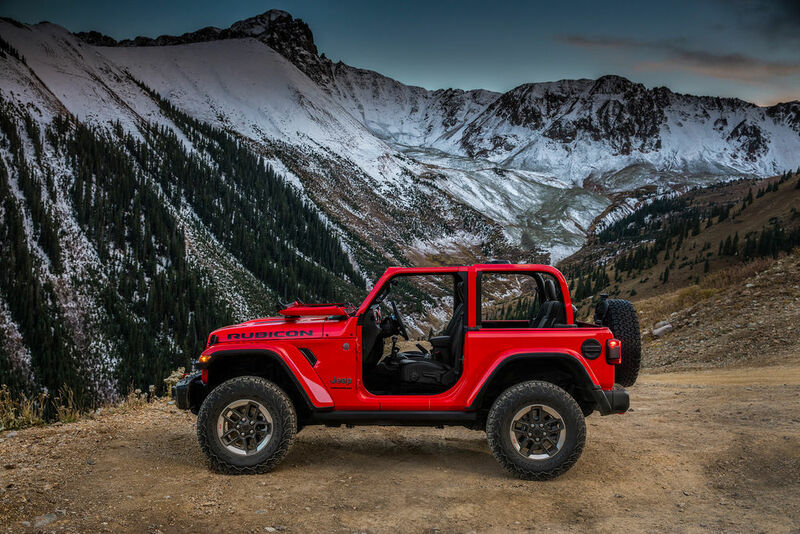 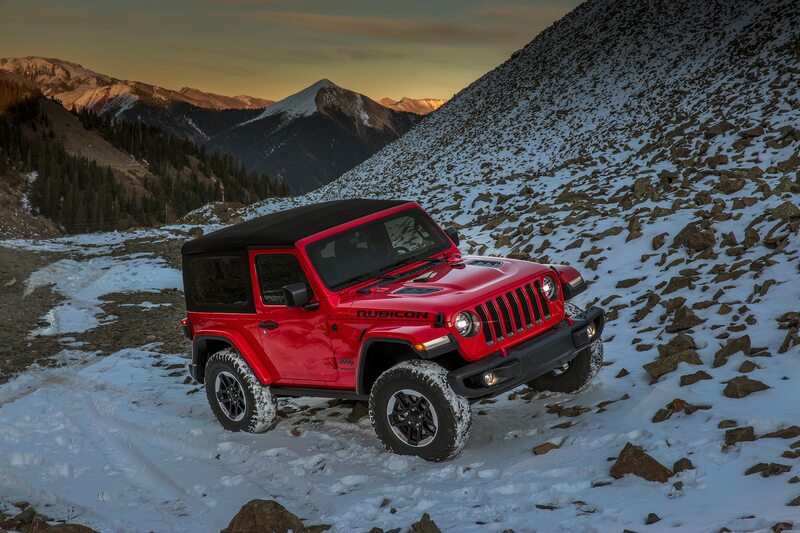 The leaker also revealed the JL-generation Wrangler’s drivetrain choices, which will include an updated 3.6-liter Pentastar V-6 that will come standard with a manual transmission and offer an automatic as an option, a turbocharged 2.0-liter DOHC I-4 with only an automatic, and finally, a diesel engine (likely the 3.0-liter EcoDiesel V-6) available late in the 2019 model year pending EPA certification. 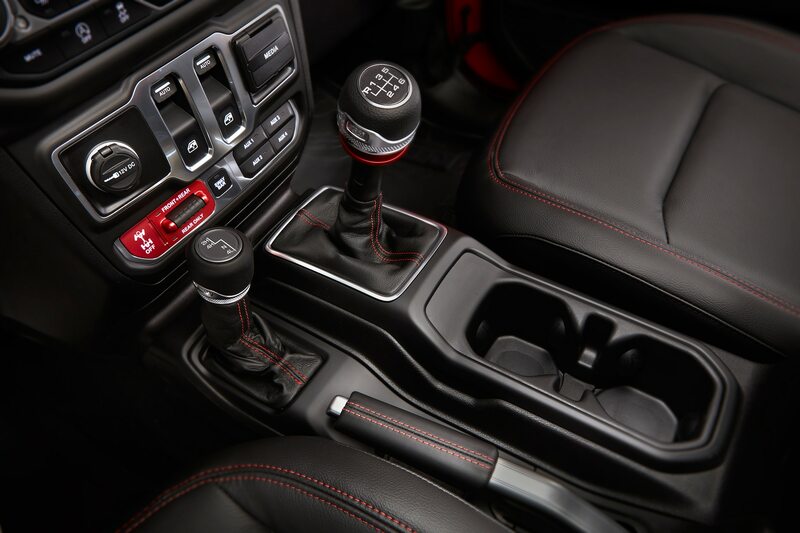 The report doesn’t give any details on how many gears the transmissions will have, but count on a six-speed manual and an eight-speed automatic. 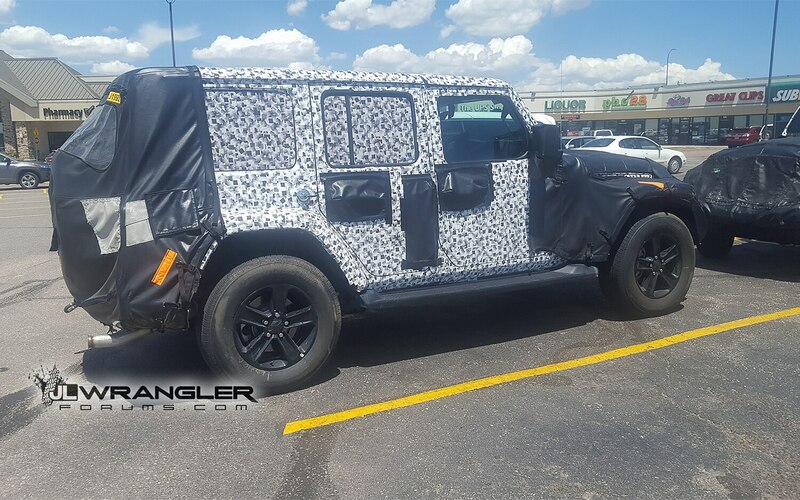 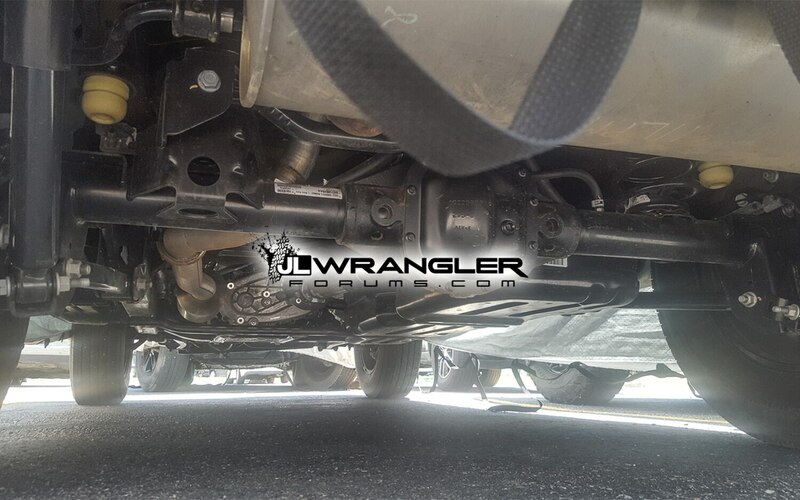 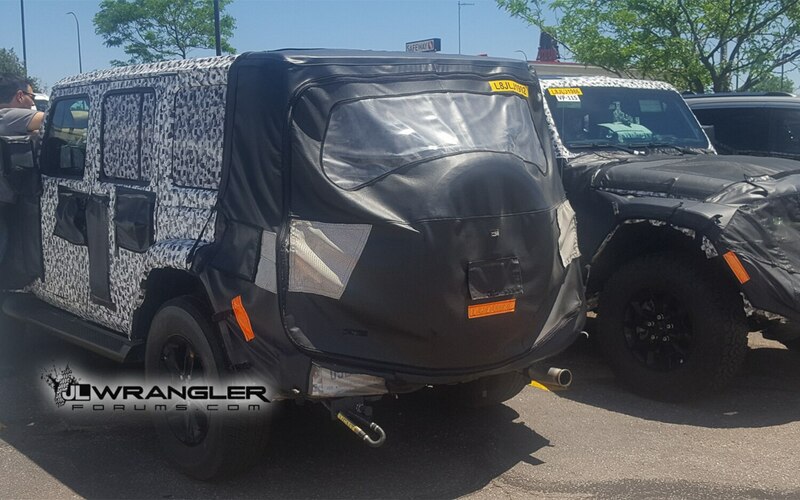 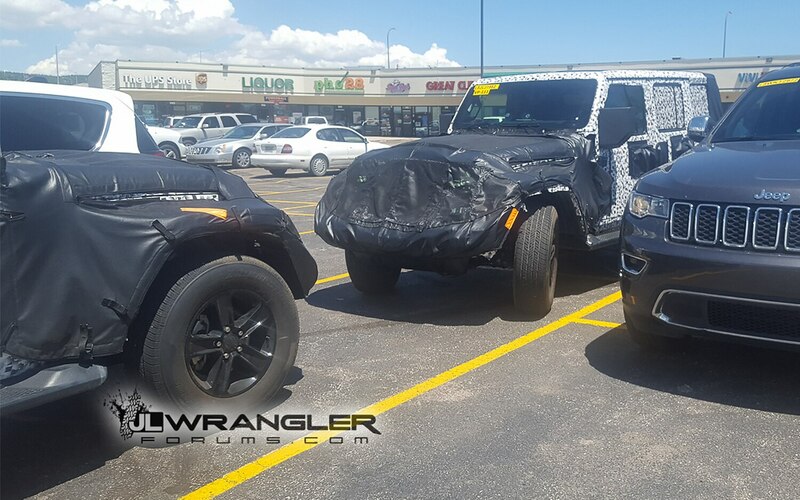 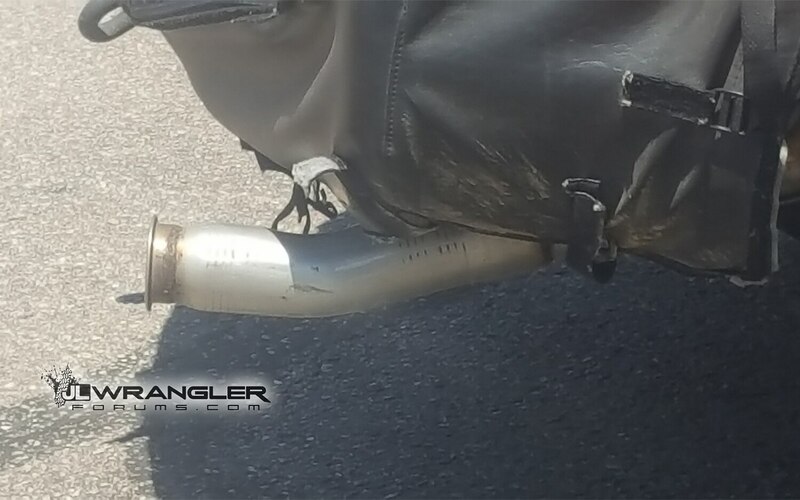 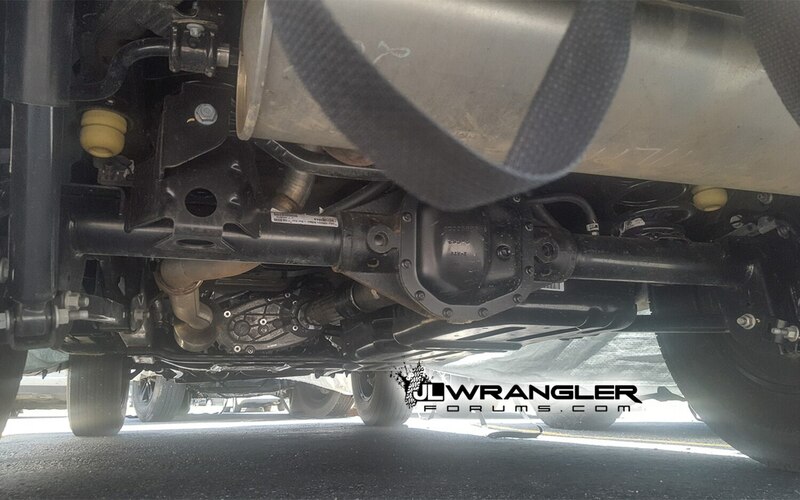 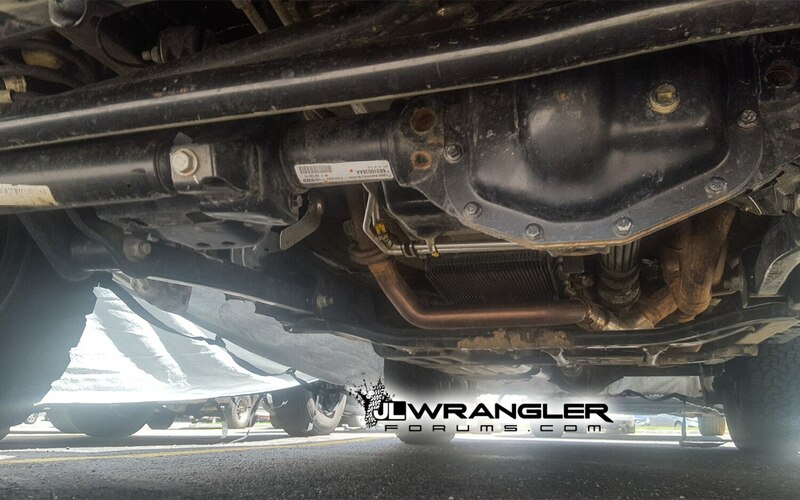 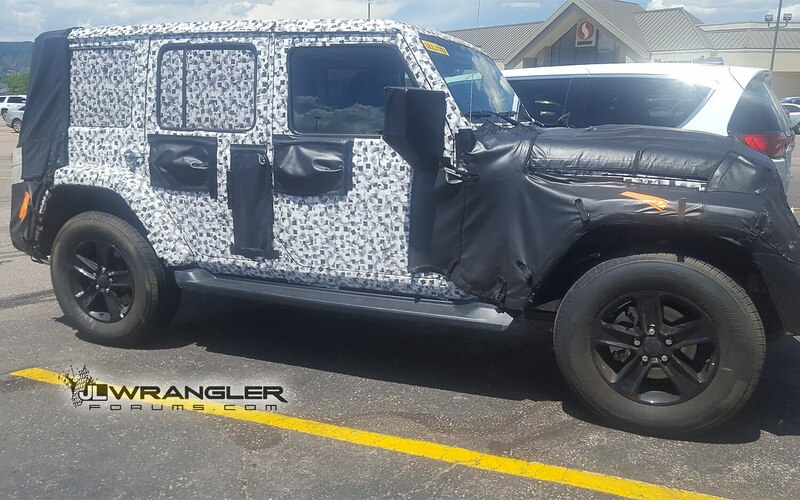 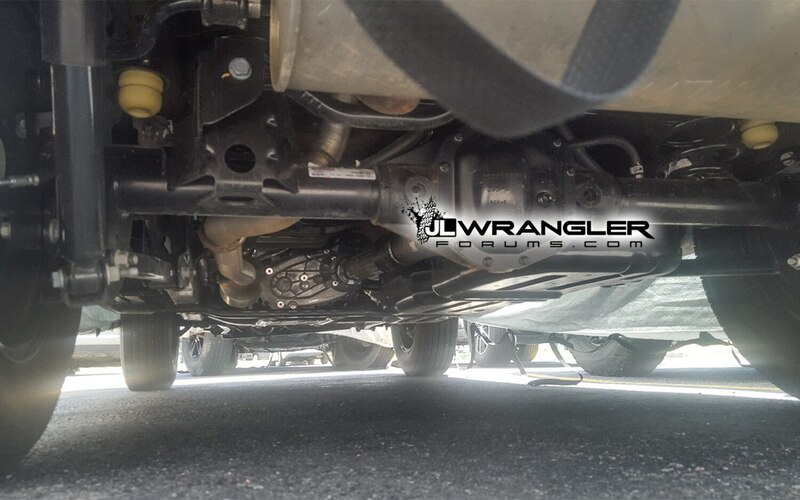 The diesel option has been rumored for some time, and now JL Wrangler Forums has caught a prototype equipped with what appears to be a DEF tank on the passenger side of the driveshaft. 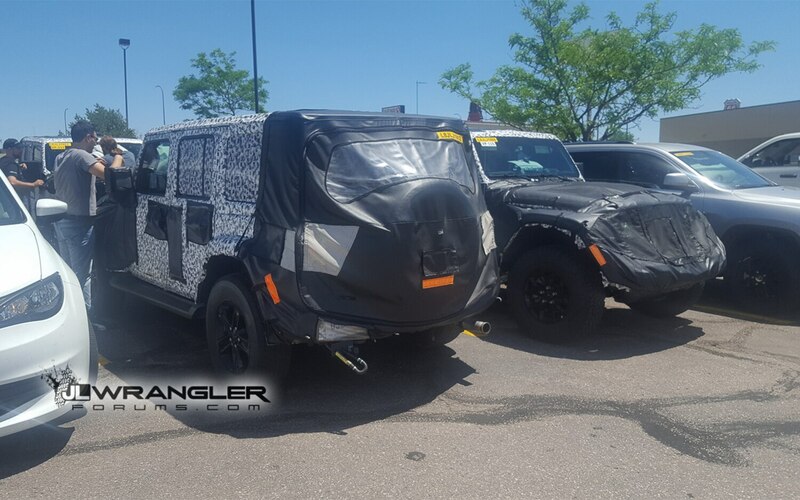 We also get a good look at the SUV’s suspension, differentials, and transfer case, which all look suitably robust for a Wrangler. 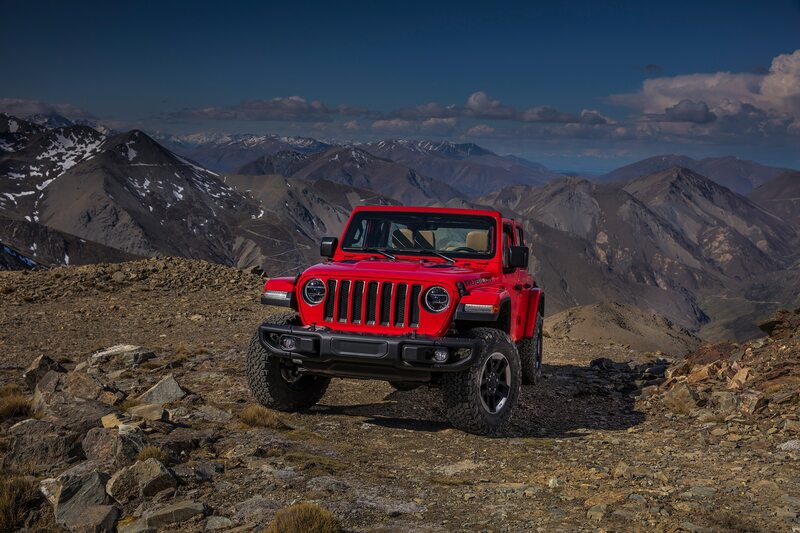 Other details revealed include the removal of the two-door Sahara trim and the addition of a power sliding hard top coming late in the 2018 model year. 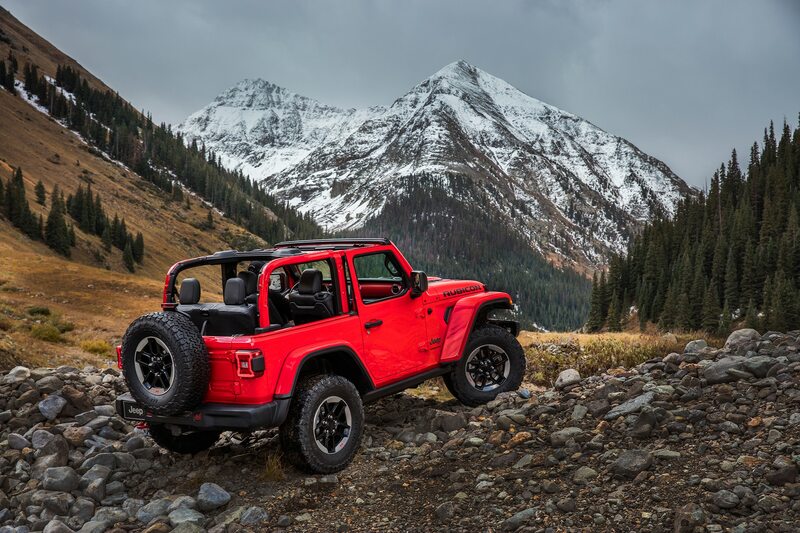 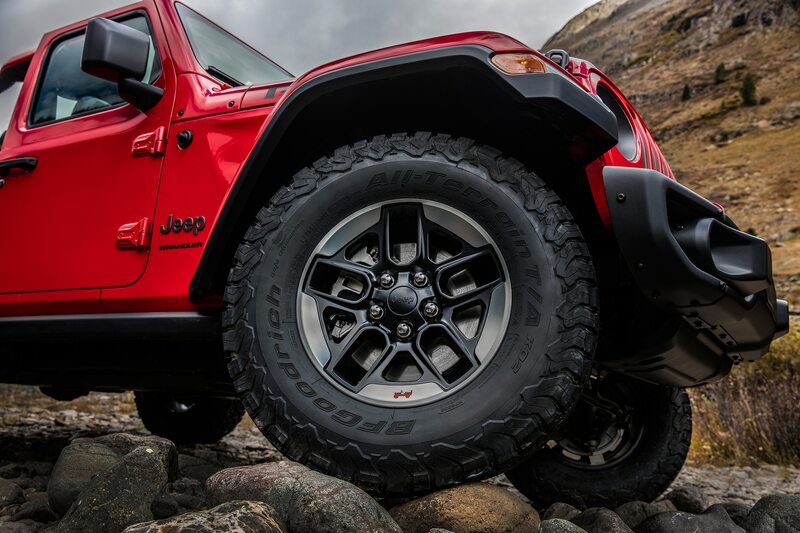 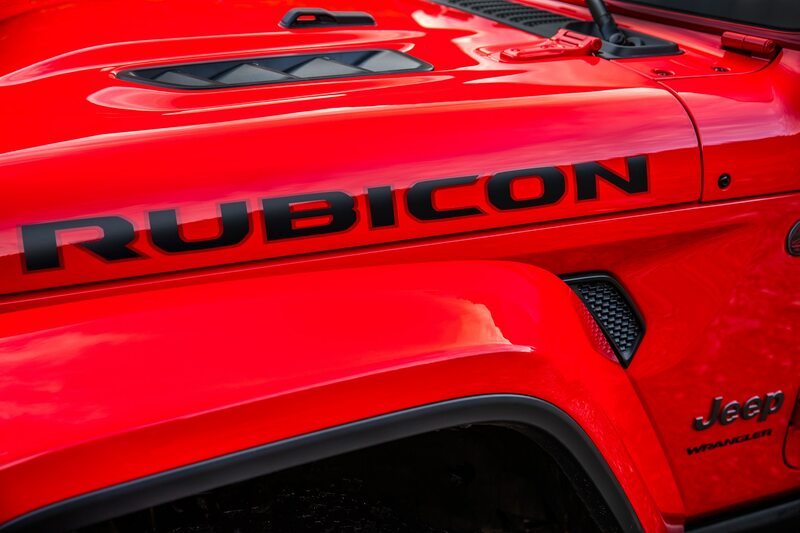 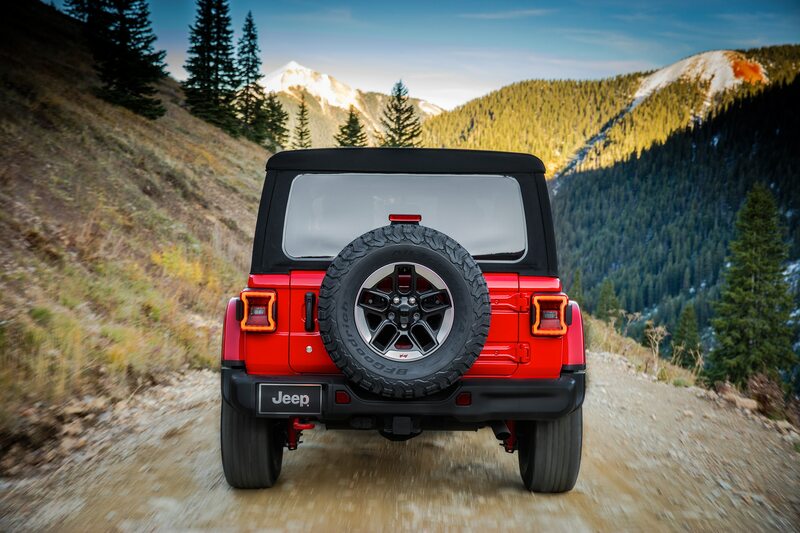 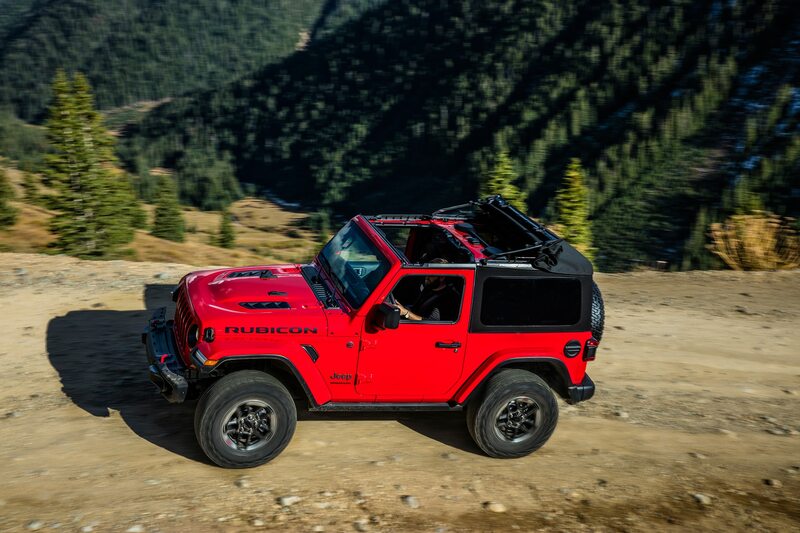 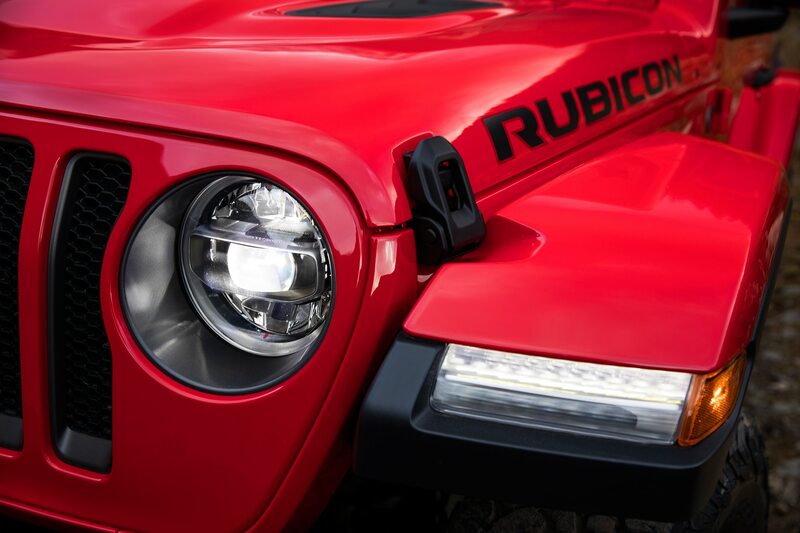 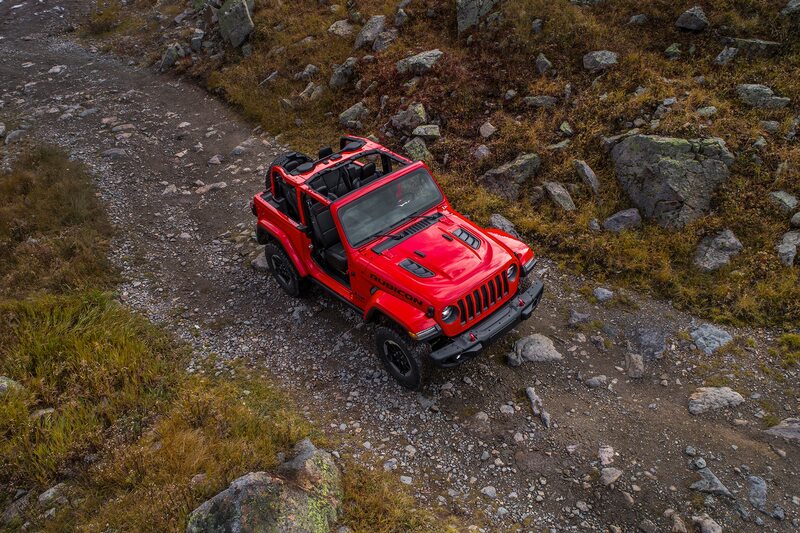 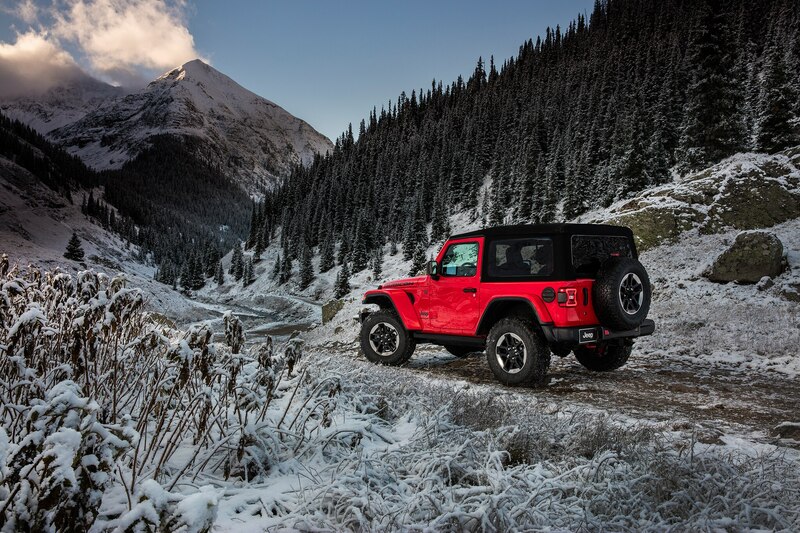 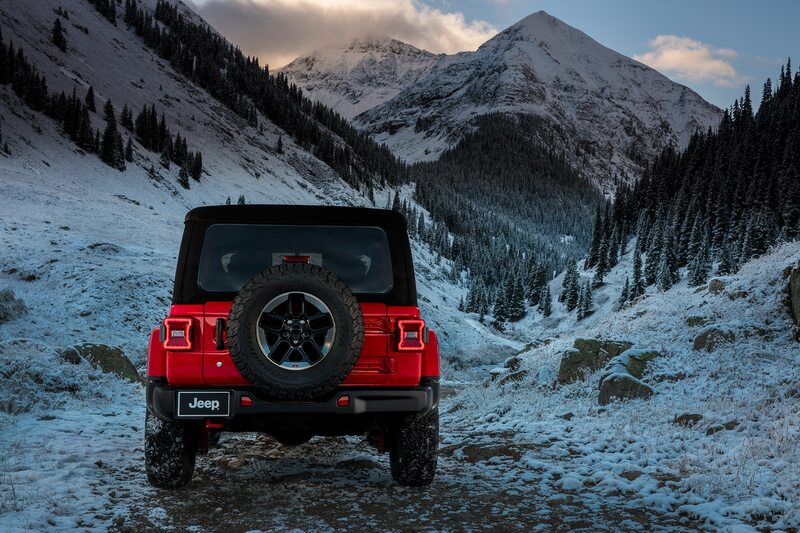 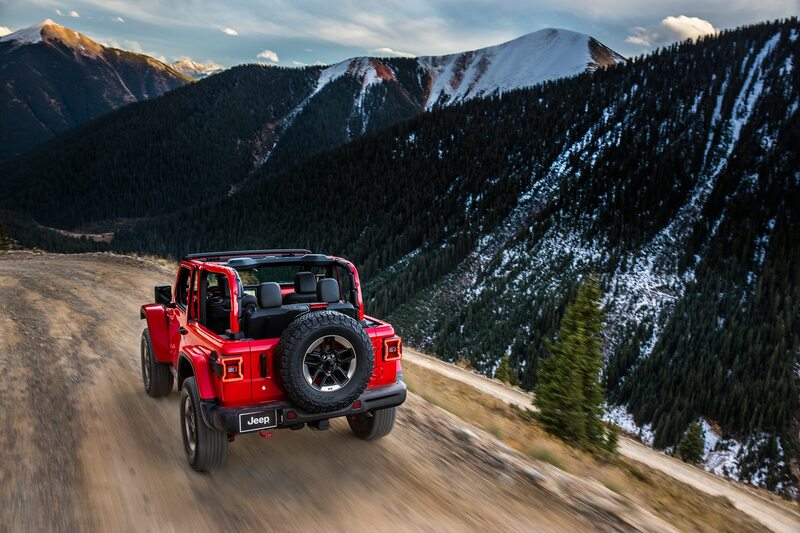 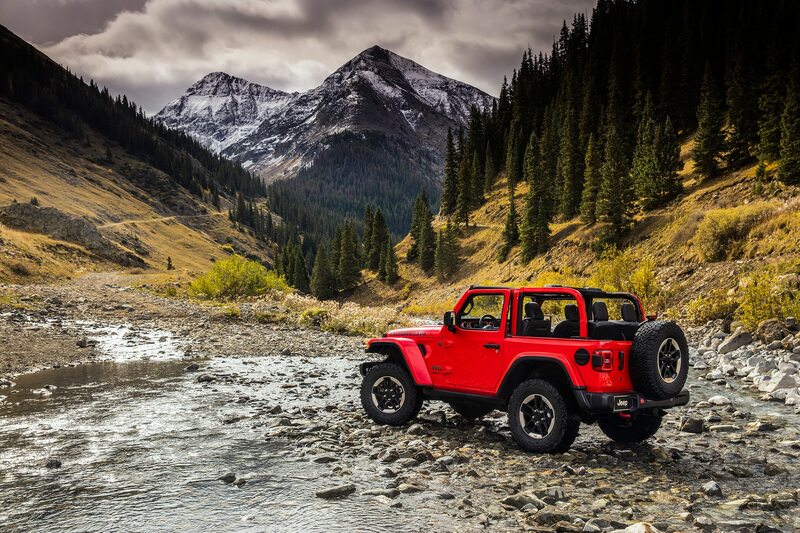 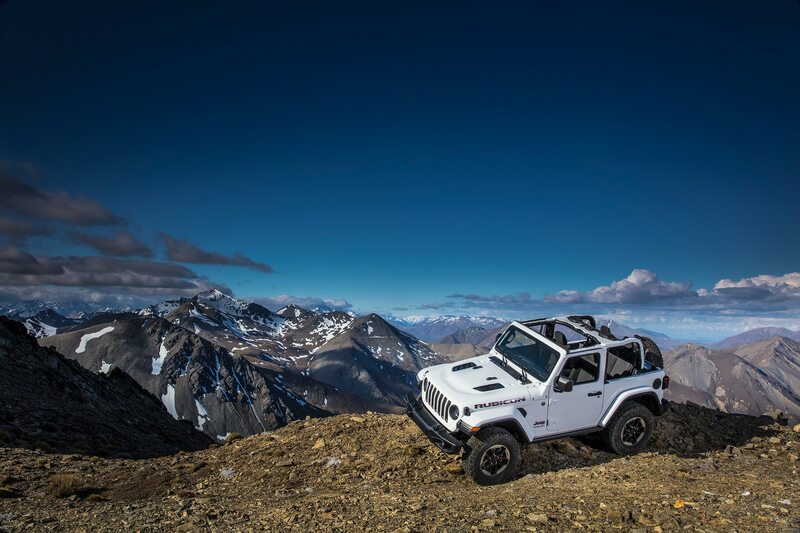 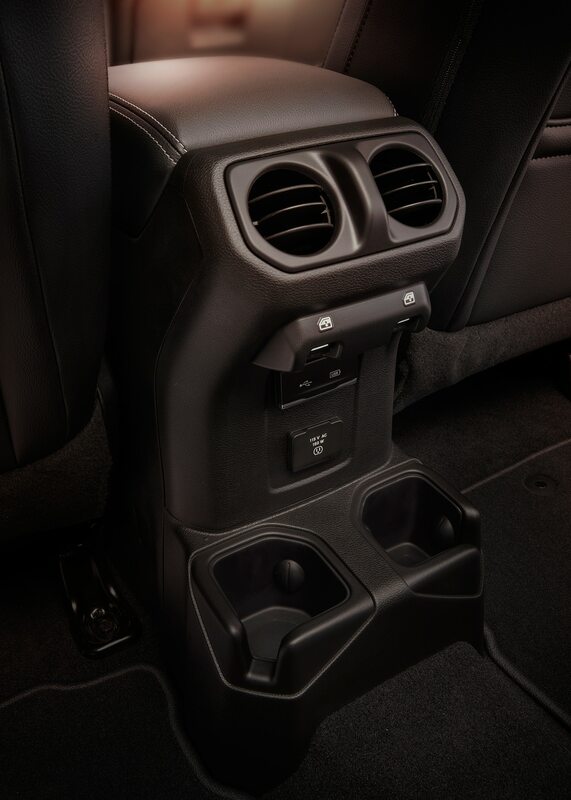 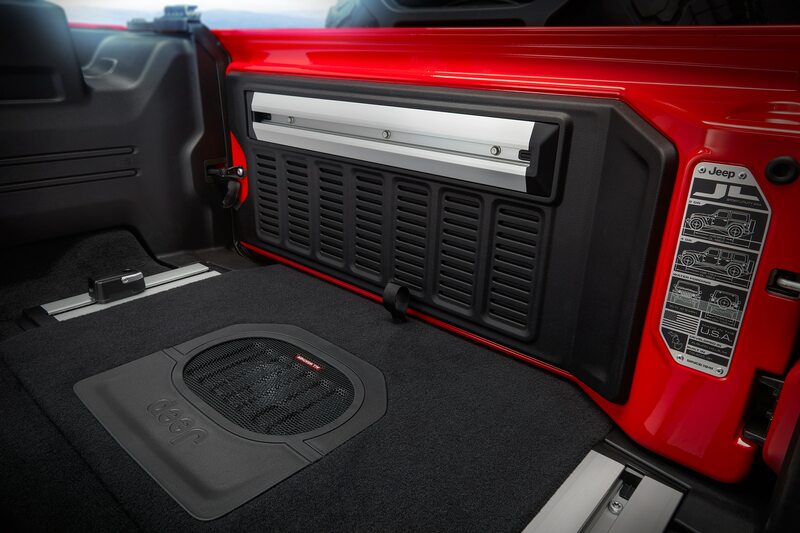 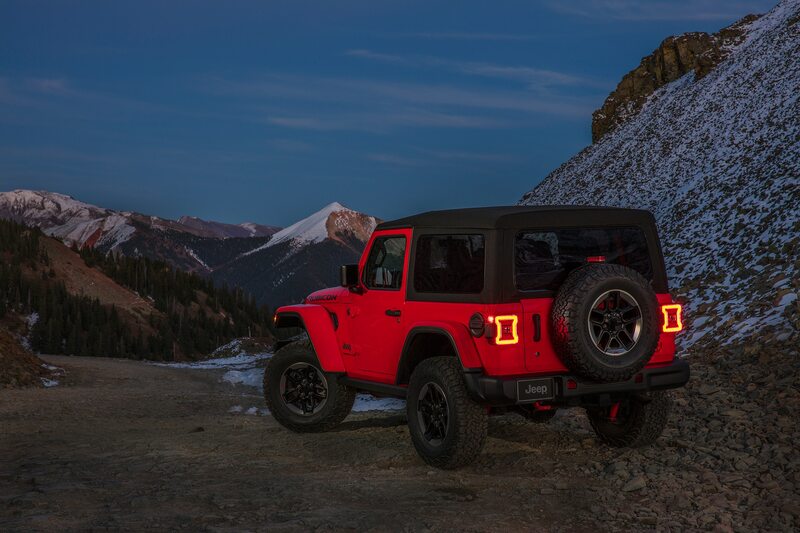 In addition, the JL Wrangler Unlimited has a longer wheelbase, push-button start will be offered, the Rubicon will get 33-inch tires, and most current JK Wrangler aftermarket parts will fit the new JL. 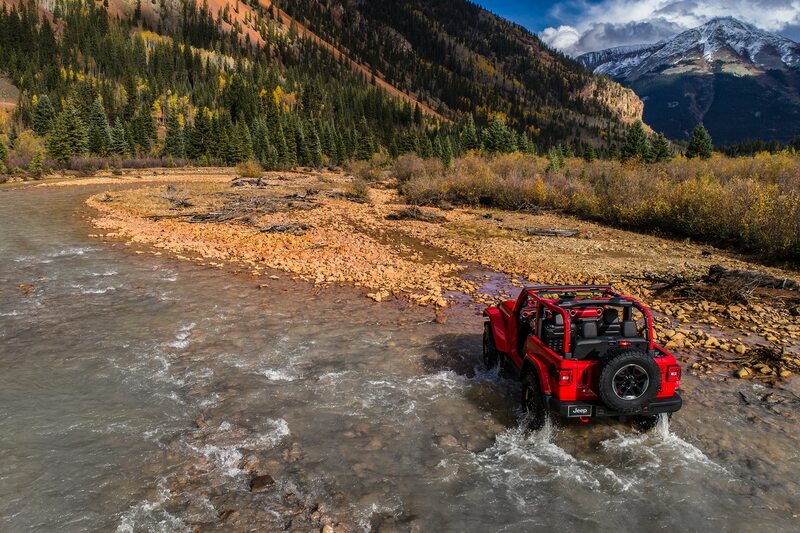 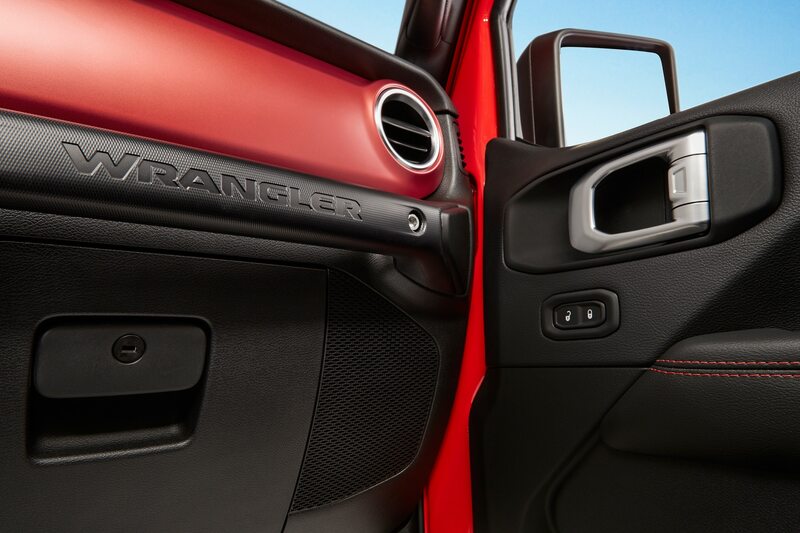 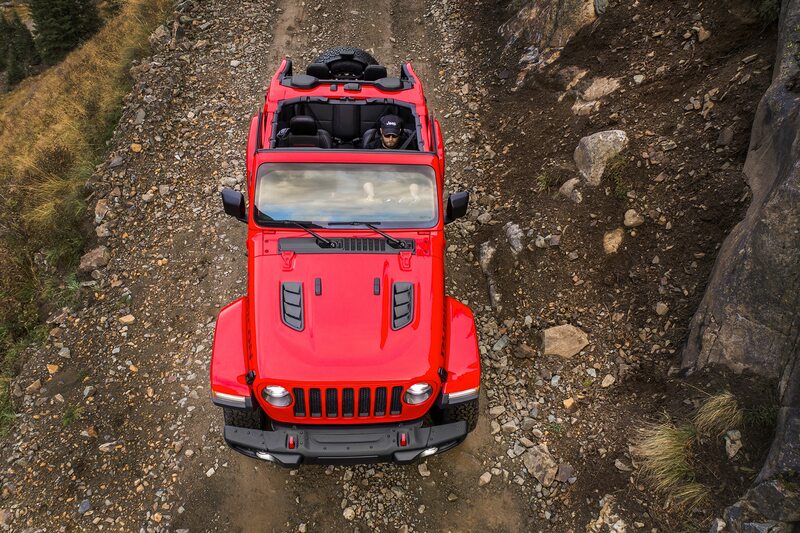 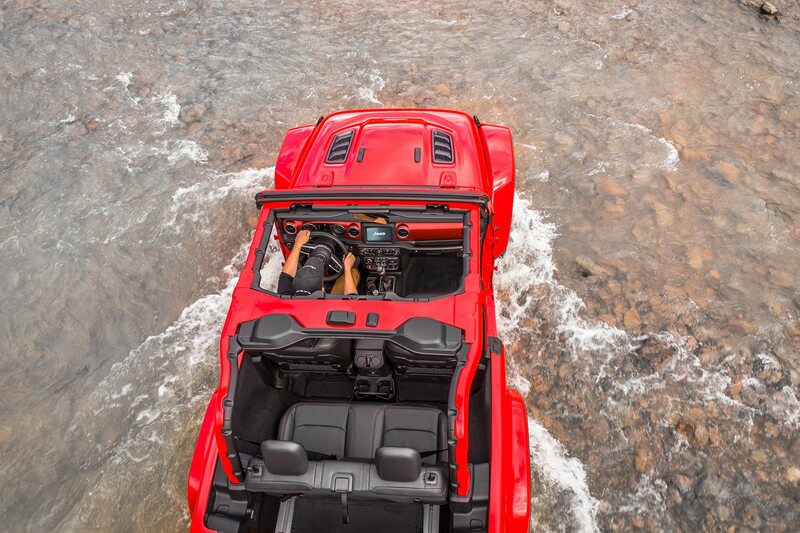 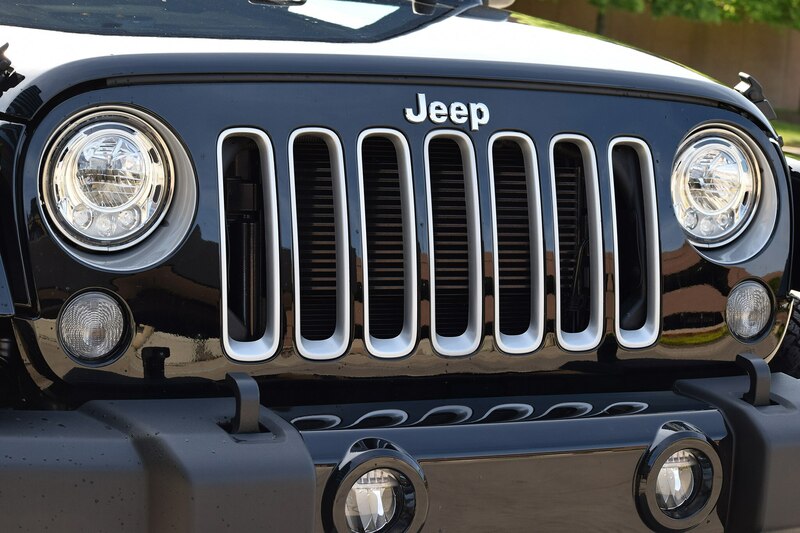 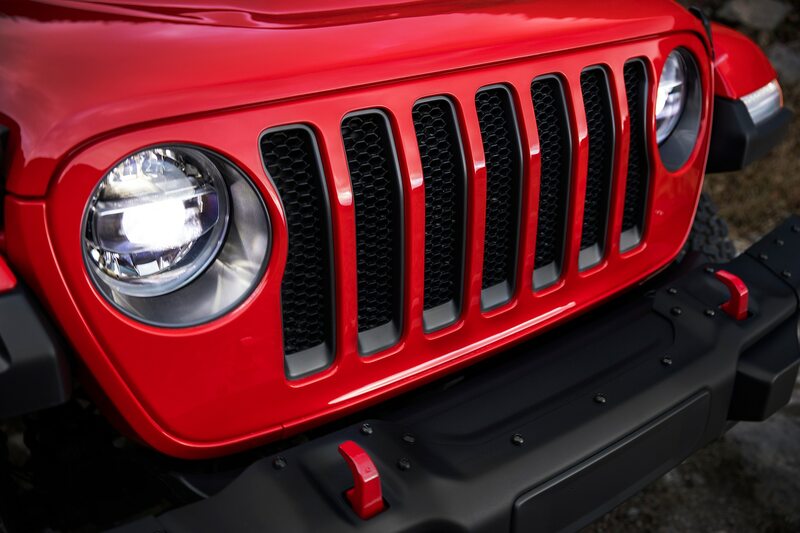 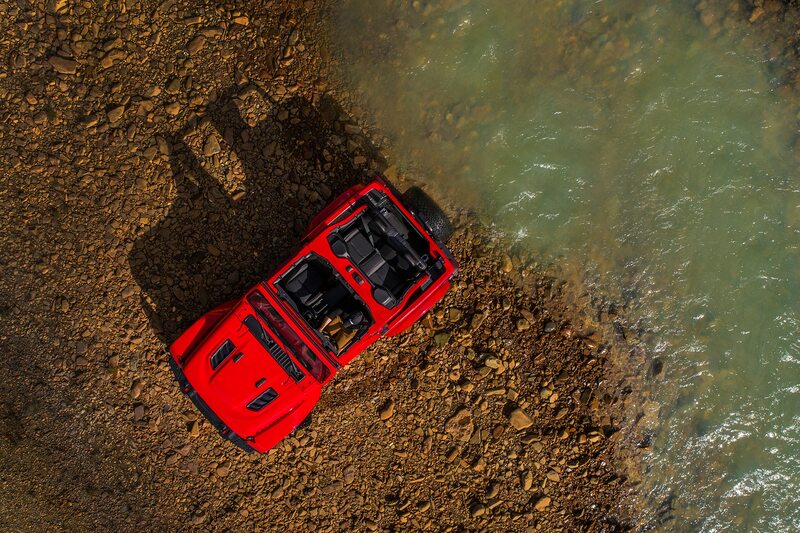 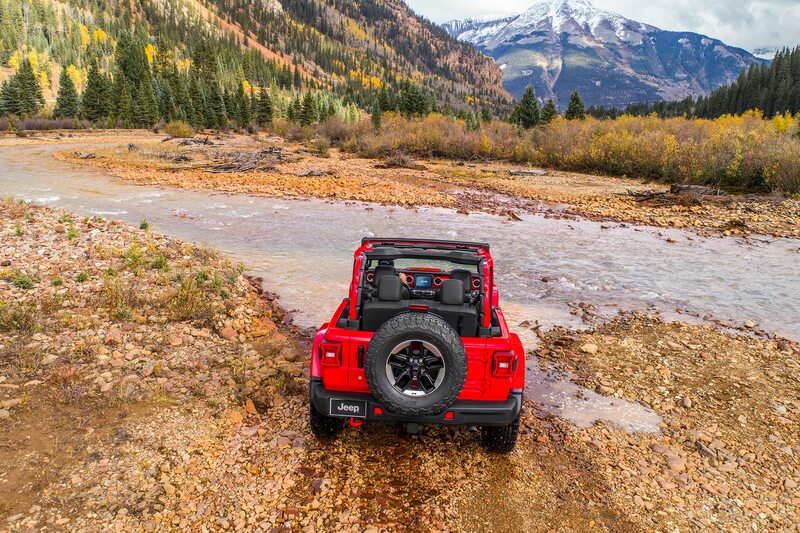 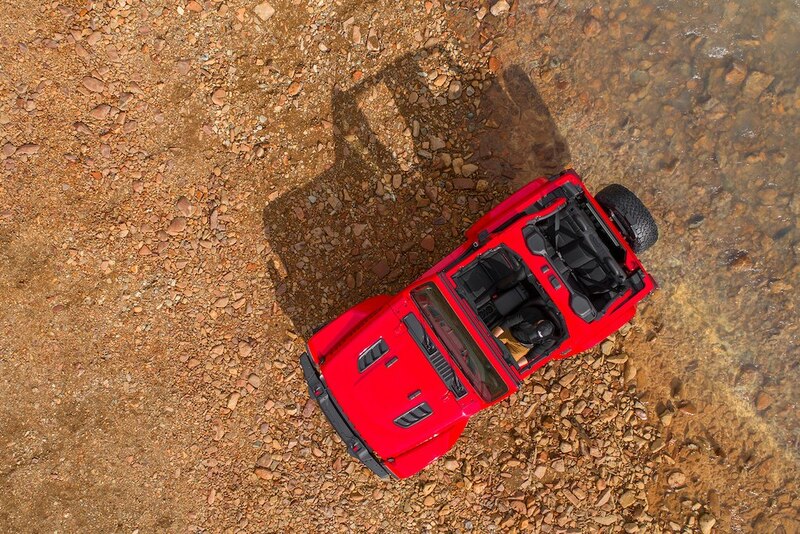 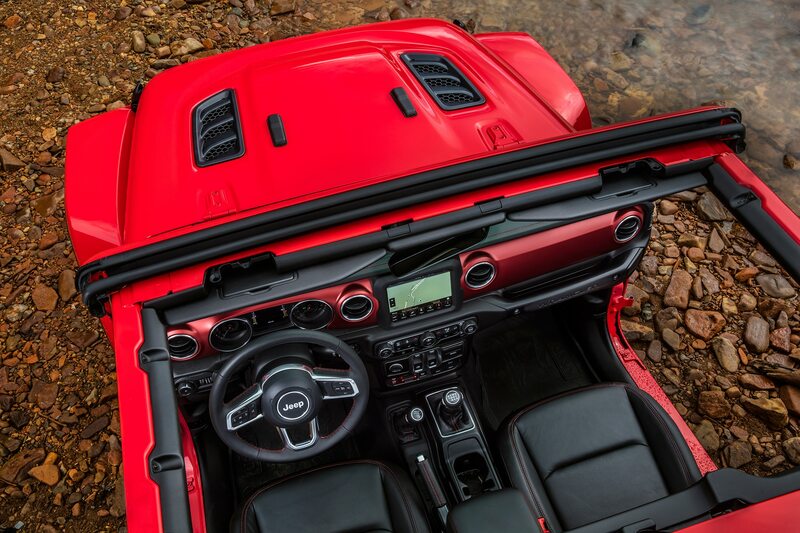 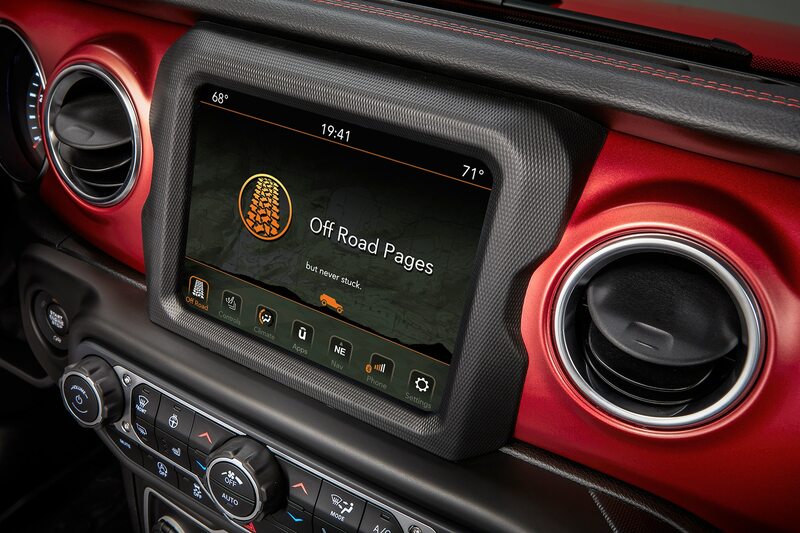 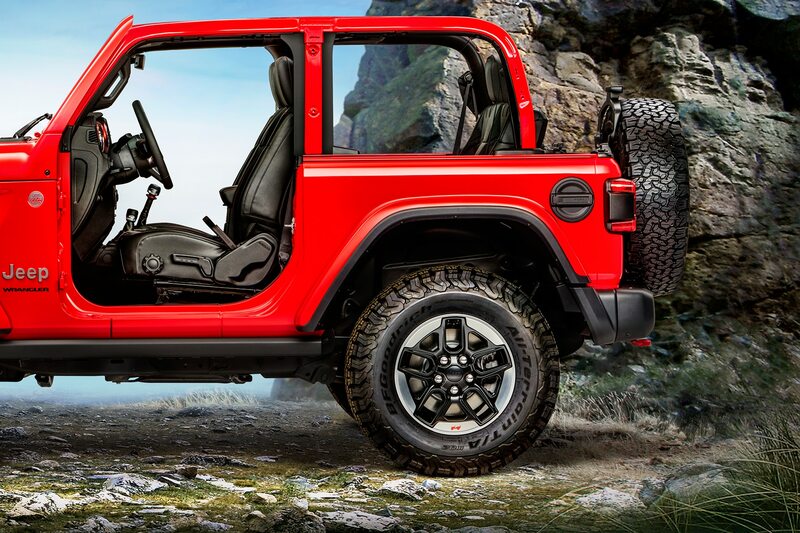 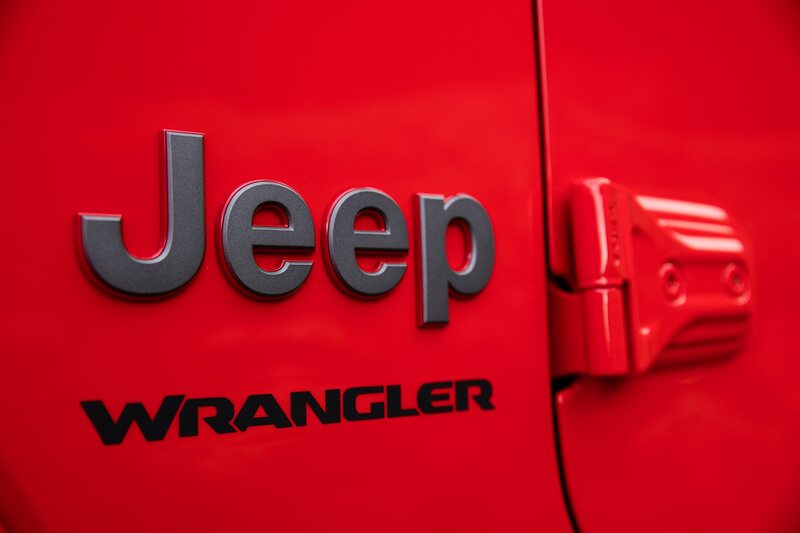 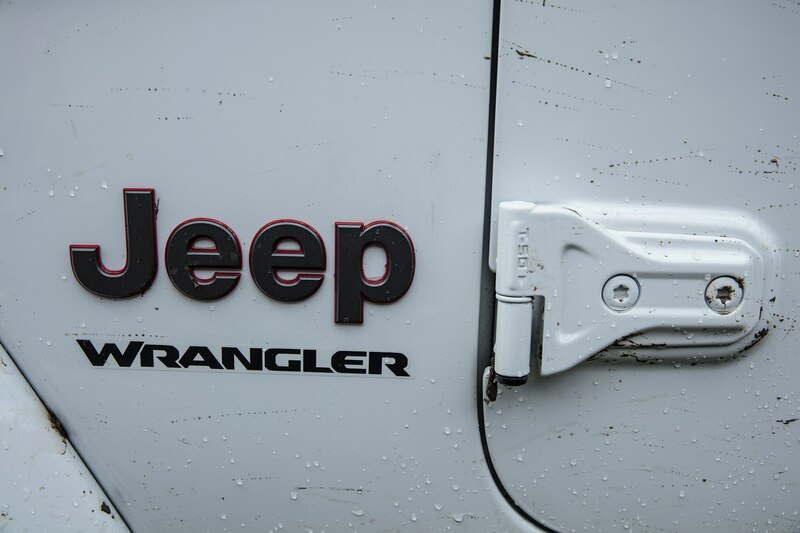 There’s still plenty more we don’t know about the next-gen Wrangler, so stay tuned.